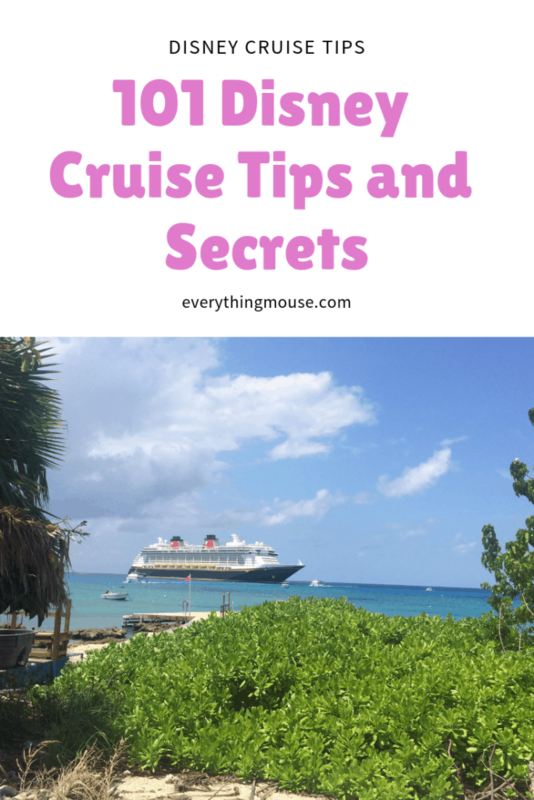 Who wants all the Disney cruise tips and secrets 2018 that you need to know? 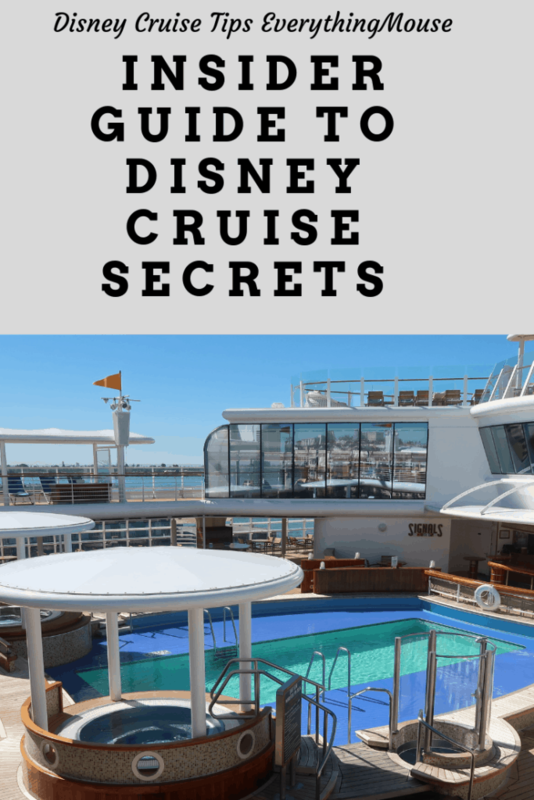 After spending months at sea on Disney cruises we wanted to give this free list of Disney cruise tips to our readers. 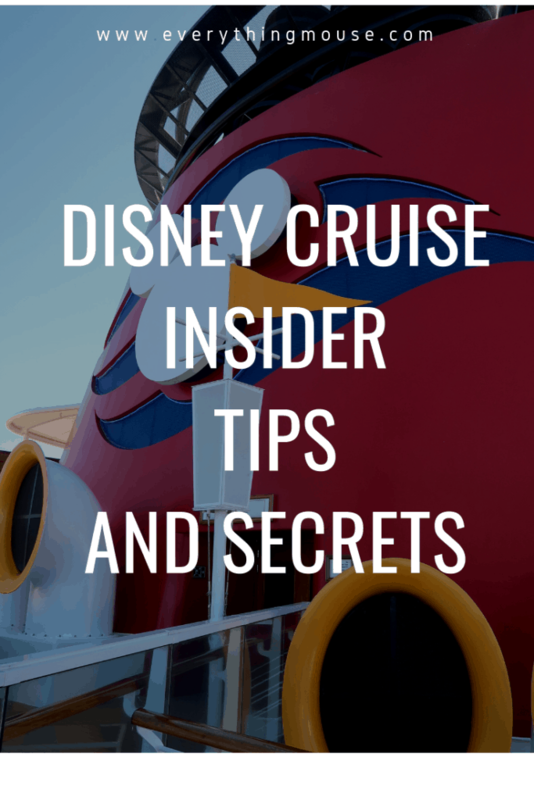 So if you want the biggest and best collection of Disney Cruise Tips, Secrets and Hacks ever read on! 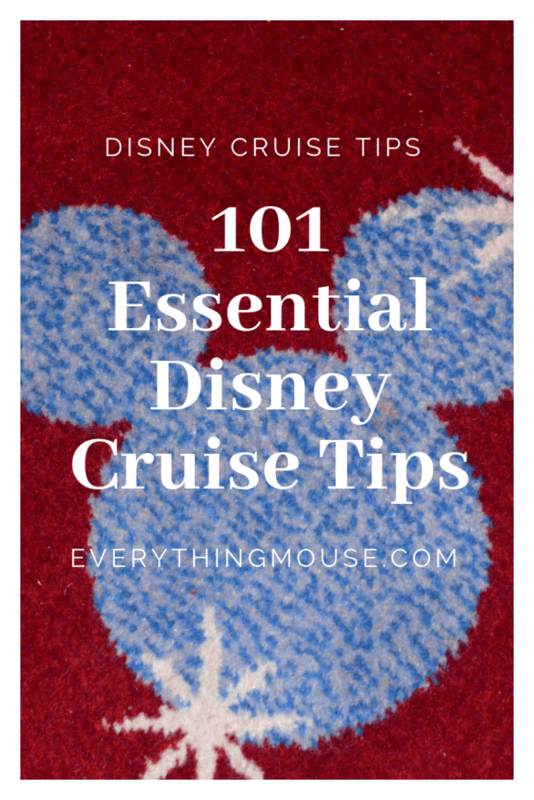 We started out thinking we would aim for 101 Disney cruise tips and secrets. However, that just wasn’t quite enough. 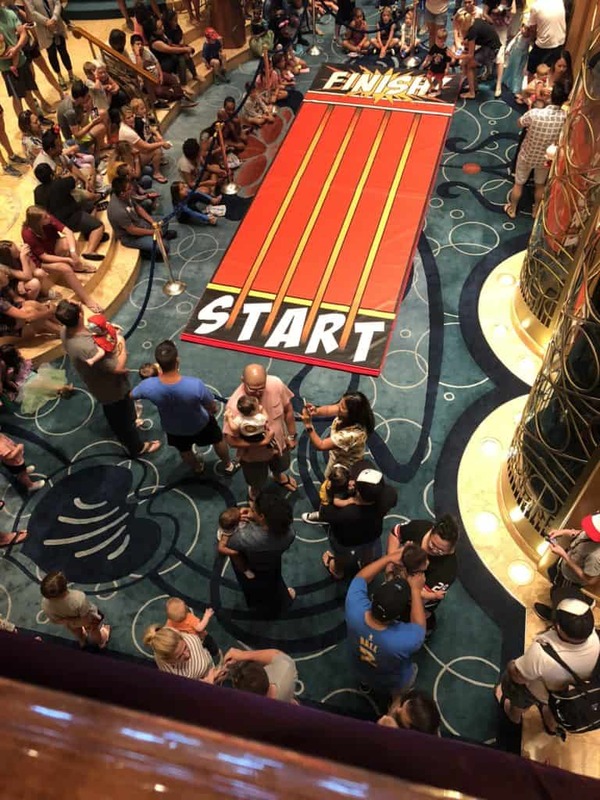 So here is our collection of 107 Disney cruise tips to save you time and money so that you can have the very best experience at sea! There are ways to save on your Disney cruise. 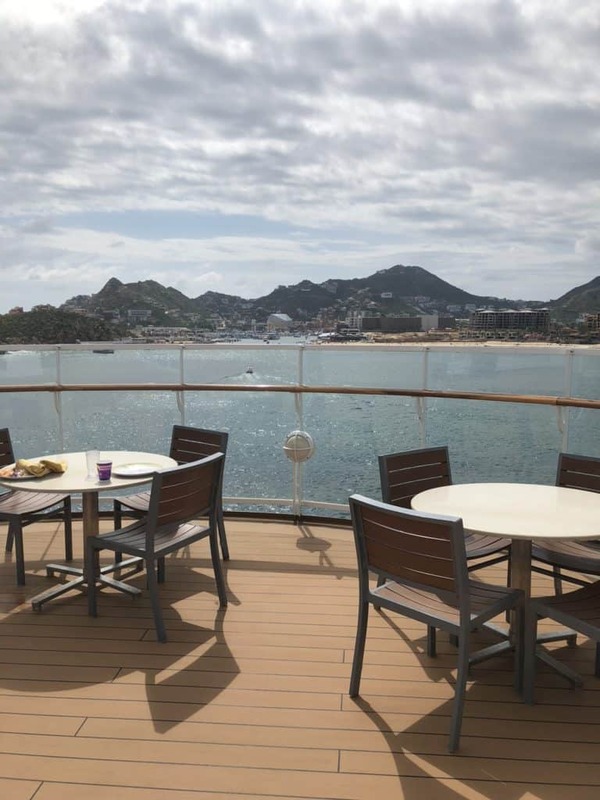 Whether you are sailing to Alaska, cruising the Caribbean and the Bahamas, or choosing an exotic European vacation, there are always ways to save. Booking a Disney Cruise early is usually the way to go. Whilst there are some last minute bargains, these are rare. Disney is a very popular cruise line and some sailings sell out within days. Booking well in advance also gives you the best choice of staterooms. Some Disney Cruise itinerary sailings are more expensive than others. The usual rules of economics works here. The more demand the higher the price. 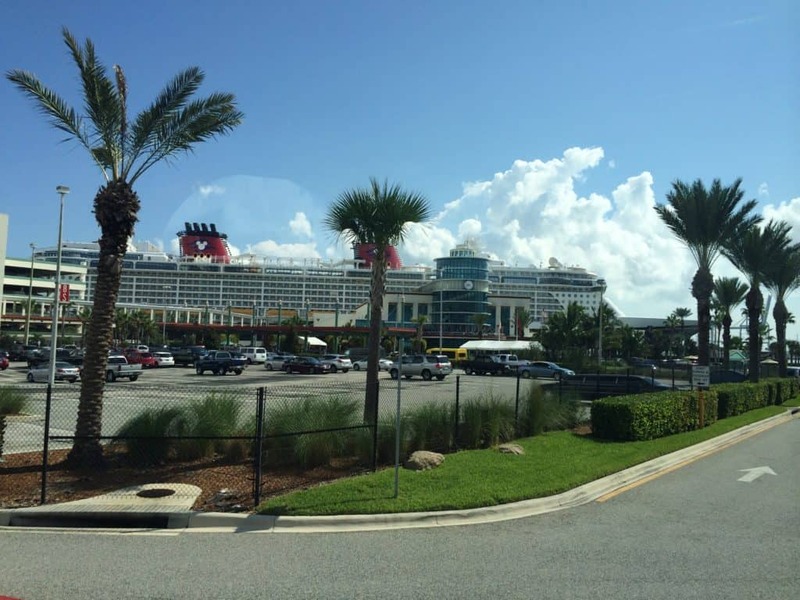 Usually the repositioning cruises offer the best per night price for a Disney cruise. 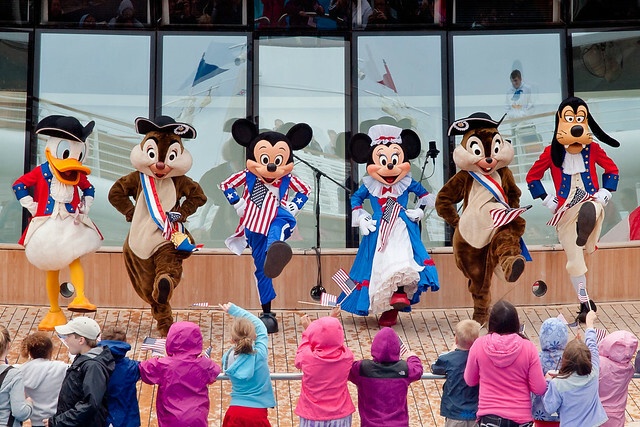 The Disney Cruise Transatlantic sailings on the Disney Magic are usually one of the best values. The most expensive Disney cruises? You probably guessed it. The Holiday cruises, particularly the Christmas Disney cruises are the most expensive. If you check in with your Disney Visa card you will be entitled to certain discounts. Currently this will give you 10% off select Disney cruise merchandise when you spend $50, 10% off a digital photo package, 20% on certain spa treatments on port days and 10% off a Castaway Cay Getaway Package. 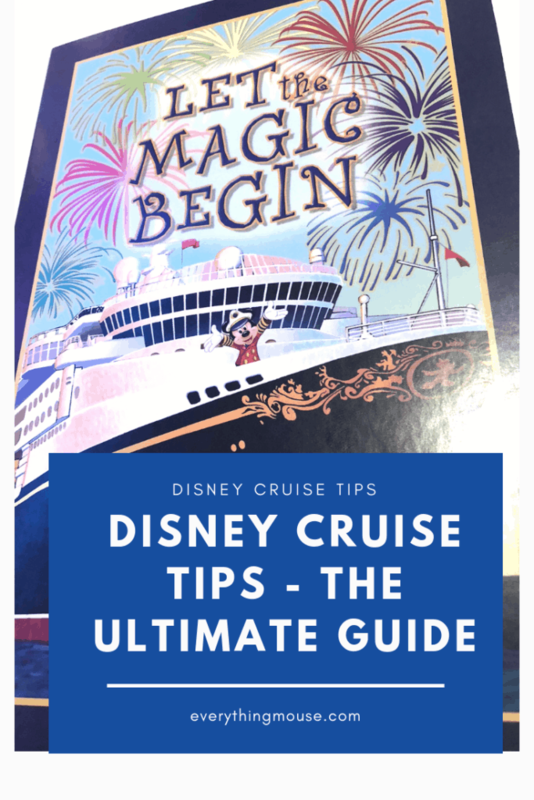 We have written a guide for you with all the Disney cruise tips you need so that you get the very best deal. If you have a party of 5 you really need to consider if one stateroom or two will be the better deal. 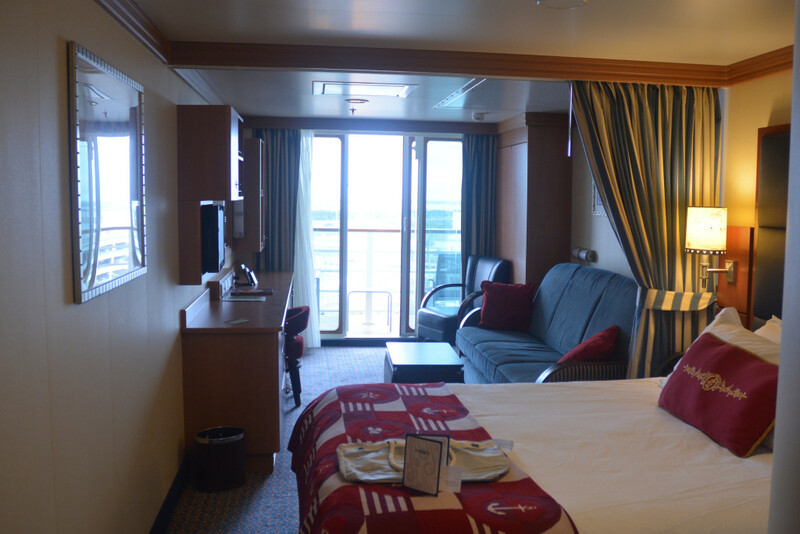 Disney cruises is one of the very few cruise lines which has staterooms which accommodate up to 5 guests. 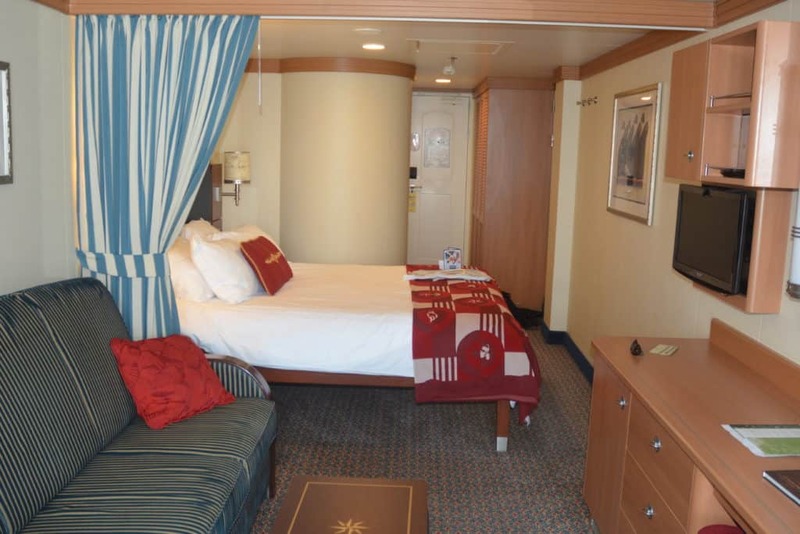 However, these Disney cruise staterooms are very popular and tend to be pricey. You should consider if 2 staterooms would be the better deal. 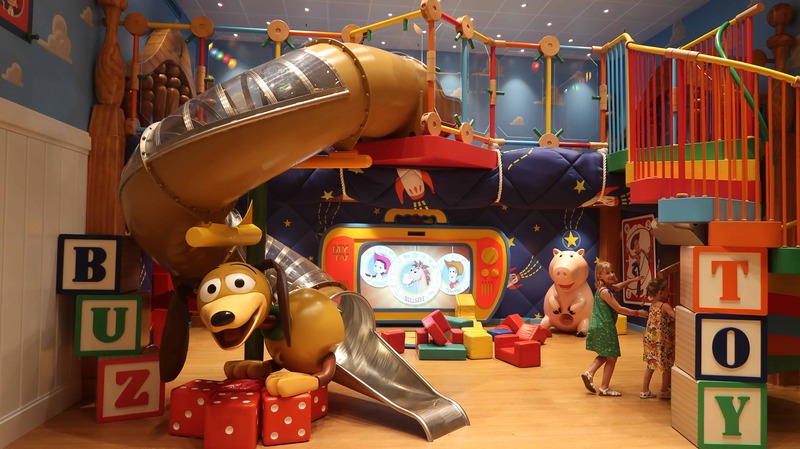 If you have young children you might want to think about choosing connecting staterooms on your Disney Cruise. There are plenty of options available, particularly on the newer Disney Dream and Fantasy ships. This is one of the best Disney cruise tips to save money. It will work once you are sailing on your first and any future Disney cruises. The best deal is to book when you are onboard. You will receive a 10% discount on current brochure prices as well as an on board credit of up to $200. Don’t know which Disney cruise you want to sail on next? You can book what is called a Disney Cruise Place Holder and decide at a later date which one you want to sail on. You have two years to sail on a Disney cruise from the date you booked your placeholder. Love that galaxy Far Far Away? You will want to check out the Disney Star Wars Cruise. Other themed cruises include Marvel Days at Sea and of course the Halloween, Christmas and New Year Cruises. Once you are onboard almost everything is included. Your accommodation, food and entertainment are all included in the price that you have paid to sail. Yes, you can pay extra for things on board, but you don’t have to. The only thing that will be added is gratuities for your dining servers and stateroom host. Service onboard a Disney cruise is excellent. Guests do get confused about the level of gratuities and how to pay. but it’s really very easy. 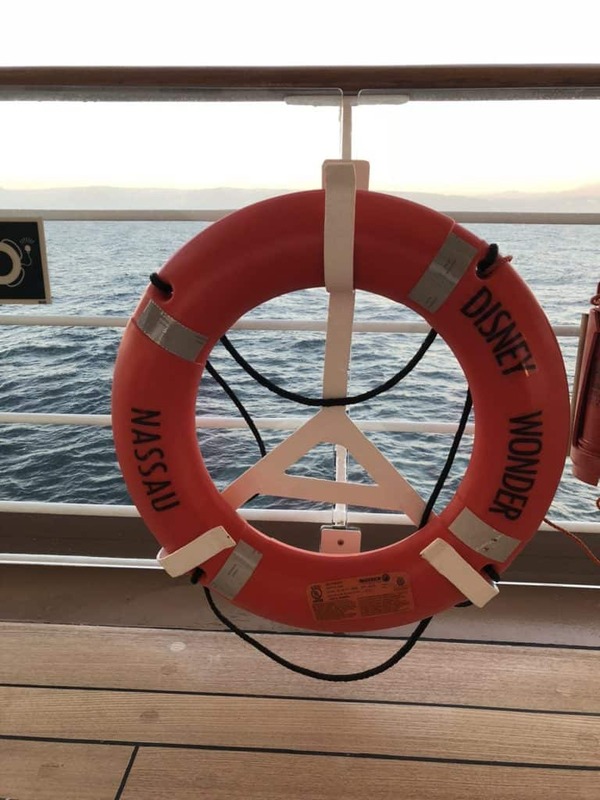 Here is a Guide to Tipping on a Disney Cruise to help you know what to expect. Once you have completed your Disney Cruise online check in you will have access to booking on board events and cruise excursions on the Disney Cruise Personalizer. The time that you can check in depends upon whether you have cruised with Disney before, and if so, what level of Castaway Club member you are. This can be anything between 75 and 120 days before you cruise. Platinum members and Concierge guests get priority so you may find that some things are booked before you get the chance. A classic illustration of this is the cabanas on Castaway Cay. There are limited numbers and are usually snagged by Concierge and Platinum guests at one minute past midnight on the day online check in opens for them. Castaway Cay Cabanas are the hottest ticket on a Disney cruise and are very difficult to get unless you are a Concierge or Platinum Castaway Cay guest. When you check in online you will be asked what time you will arrive at the port. The most popular times are earlier in the morning – so these times go quickly. If you want an early time make sure you check in as soon as you can. The port will be busiest in the morning. 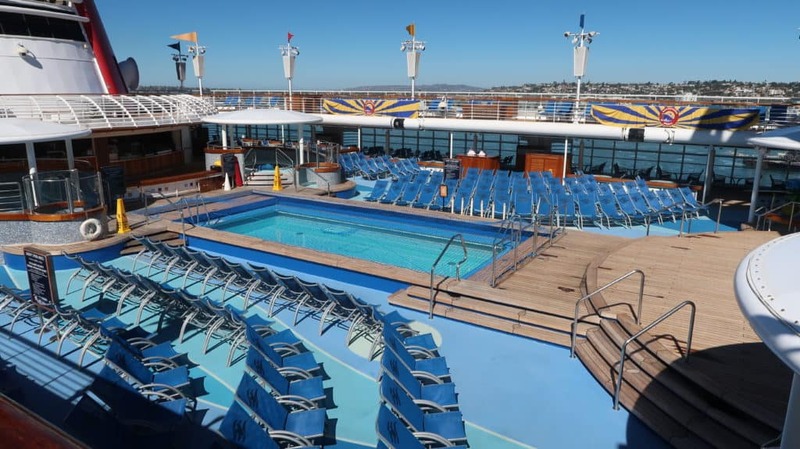 Port Canaveral does not have that much seating and there really isn’t much to do. You will check in at the desk and get a boarding number. These are handed out according to your online port arrival time. So if you have a 3pm port arrival time, but check in early on the day, you will be in for a wait at the cruise port. Most character greetings are just announced every day in your Personal Navigator and you get in line to see your favorites. However, certain characters are so popular that they only appear at ticketed events. You guessed it. Anna and Elsa are the hottest tickets in town. If you want to see the Frozen favorites your best chance is to get tickets online in the Cruise Personalizer. If you don’t get them online go straight to Guest Services when you board to see if there are any still available. If you want to book one of the adult dining experiences you can book one experience in each restaurant online. If you book for the first night at Remy or Palo you can now also book a second night online. Remy in particular gets booked up so always try and book in advance. If there is nothing available, you can still try and book as soon as you get on your cruise. The Navigator will tell you where the restaurant Cast Members are on the ship to help you make a reservation. Wine tastings and other specialty events are now offered online as well. Make sure that you log into your Disney Cruise Personalizer as soon as you can so that you can book the events that you want. Remember though that there are usually spaces still available on the ship. So visit Guest Services as soon as you get on board. See that long line at the cruise port over in the corner? That is for the grown ups who did not sign up their children online for the kids clubs. You can save a lot of time waiting in line if you just fill out the simple form online. Then you can skip the lines and go straight to the place where they will be given their wrist bands. You will be visiting some amazing ports so you will want to think about which Disney Port Adventures you want to book. Your online Cruise Personalizer has details of them all. You can book before you sail. We always suggest that you book excursions via Disney. You can book independently and you will probably save money. However, if you book with Disney you can be sure that they have the Disney seal of approval. Most importantly if you are late back from a Disney Port Adventure the ship will wait for you. If you go independently you could be waving goodbye to your floating home from the dock. We have seen it happen. Don’t let it be you. One of the great things about a cruise is that you are not restricted to how much luggage that you can take on board. If you are driving to the cruise port this makes things easy. Take as much as you want! However, if you are arriving by plane you will still have to navigate their increasingly ungenerous baggage allowances. Your luggage will arrive in your Disney cruise stateroom some time in the afternoon and early evening. If there is anything that you need as soon as you board, make sure that you have packed it in a carry on bag. Essential items to include are your swim suits. This is one of the times when the pools will be the least crowded. It is also a great time to experience the Aqua Duck if you are on the Disney Fantasy or Dream. No one wants to talk about this subject, but here we go. Sea sickness. It happens. The Disney cruise ships are very stable, but sometimes you may not find it possible to get your sea legs. We have sailed in very challenging seas, but never encountered a problem. However, just in case you will find out guide How Not To Get Sick on a Disney Cruise useful. Unfortunately credit card fraud is very common these days. So your credit card company will pick up on any unusual activity. They can and often will stop your card if they detect anything strange. My card was cancelled when I tried to charge $10 in Grand Cayman! Fortunately I had a back up card. Sometimes flights are delayed. We strongly recommend that if you possibly can, make sure you arrive at least within easy driving distance to the port the day before. Don’t leave things to chance and be stressed about making it on time to your cruise. Nothing could be worse than not making it on time and watching the ship sail away into the sunset without you. We have seen it happen. Don’t let it be you. This is another great feature of your Cruise Personalizer. You can schedule a call from Mickey or Minnie! You can schedule the date, time and choose if you want Minnie or Mickey. It’s another way Disney cruise lines makes things that bit extra special. You can do this any time you want, but make sure you do it before you get on board. On the cruise ship it shows you what is happening every day. Before you cruise it gives you a count down of how many more days, hours and minutes there are before you board! The Navigator App also lets you send texts free of charge to members of your stateroom and anyone else who authorizes you to do this. This is so much better than the Wave Phones you get in each stateroom. Make sure that all family members get the App before they board. Want to upgrade your Disney cruise stateroom? You can always ask at check in if there are any upgrades available. Sometimes, but not always, you can get an upgrade at a reduced cost. It always pays to ask just in case! You can then decide if the upgrade you are offered is worth the extra cost. Never rely on a Disney Cruise upgrade though. They are increasingly unlikely as the Disney cruise ships are so popular and are often fully booked. When you check in you will be given your stateroom key which is your Key To The World Card. This allows you to charge all expenses to your room key. You can limit the charging privileges of others in your stateroom. You don’t have to give your 8 year old the power to buy what he wants in the store! Finally the time has come to get on the Disney ship. All that anticipation and preparation. Now the day has arrived! When you check in at the terminal you will be given a card with a boarding number for your party. Don’t ever think that you can board earlier than your group. You will be stopped! There are always photographers stationed along the gangway to take your embarkation photo. Stop if you want or pass it by if you really can’t wait the extra few minutes to board! We recommend you are not camera shy. 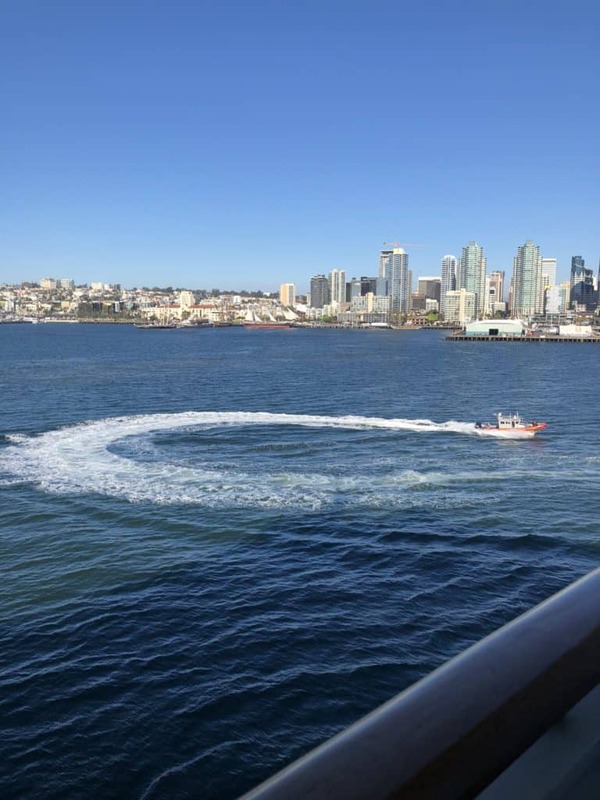 There are many photo opportunities on the ship, but the embarkation photo is one of our favorites. When you board the Disney Ship you will be asked for your family name. Make sure that you give it to them as you have a special surprise welcome! 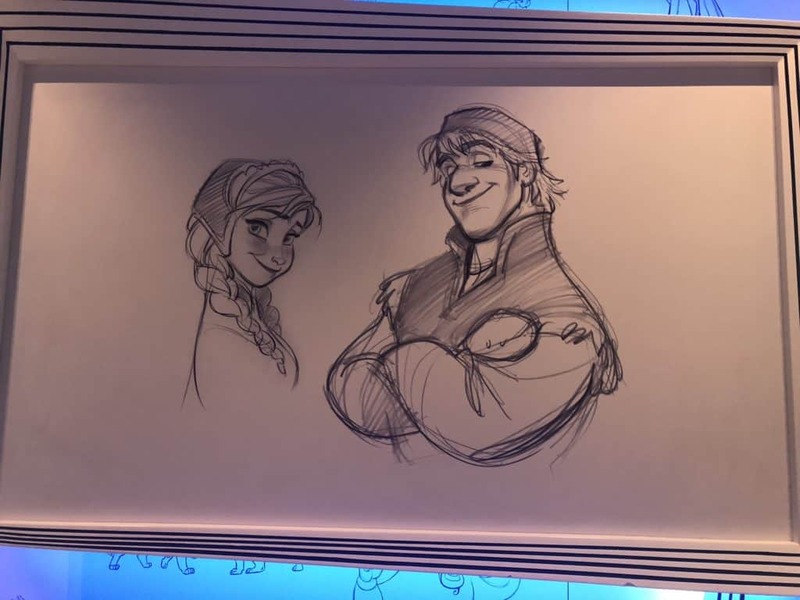 If you need to book any specially ticketed events, such as the Anna and Elsa Meet and Greet or the character breakfast, head straight to Guest Services. You may still be able to pick up tickets. The food offerings start as soon as you board. You can head on up to the pool deck to experience the buffet. If you want a slightly less crowded space one of the restaurants will also offer a buffet selection or waiter service option. It won’t be as huge a choice as the pool deck, but less people head here so you may get a more relaxing start to the cruise. The safety drill is usually scheduled for 4pm on the day that you depart. There will be announcements over the public address system and on your stateroom television. You will be told what to do. It only takes up a short amount of time and is a vital exercise for everyone on the ship. If you miss the safety drill you will have to attend another. There is no escaping this essential exercise! If you have an assembly point on deck remember to take sunglasses and a hat. It can get hot out there! One of the most expensive mistakes that you can make on any cruise is not checking your cell phone coverage. You can end up with a very hefty bill if you use your cell phone on board. This applies to calls, text and data. You could just put your phone in your room safe and not connect. However, if you want to use the Navigator App we suggest that you simply put your phone onto airplane mode. If you use your own cell phone provider data provision you will be paying a fortune. 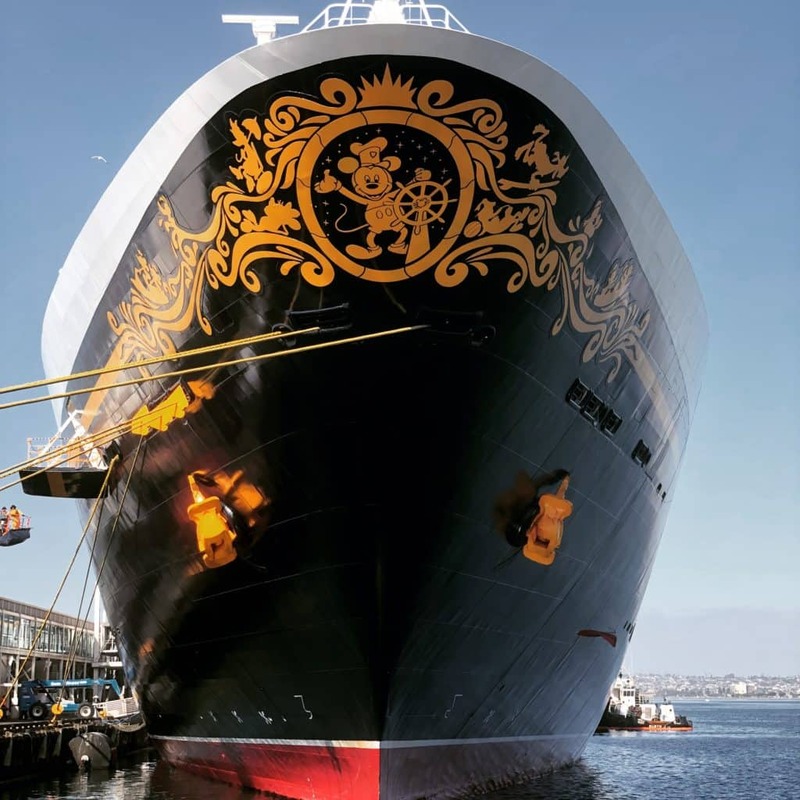 Disney cruises has it’s own Connect@Sea service. This offers Internet packages where you pay for the amount of data that you use. At the moment if you sign up on the first day you can get the first 50 MB for free. If you are just occasionally using the internet this may be enough. If not there are a number of different packages for you to use. Disney knows how to put on a show and the Sail Away Party is no exception. Head on out to the pool deck for a very high energy party. You can also watch the port disappear into the distance by going up onto the deck above the pool deck. Or if you have a balcony stateroom why not enjoy the Drink of the Day in your own private haven? This is a great opportunity to see the Disney Rainforest and the Spa treatment rooms to plan what you would like to do in the spa. There is always a free to enter spa raffle on the first day. You may as well enter as you may win a free spa treatment or a discount. 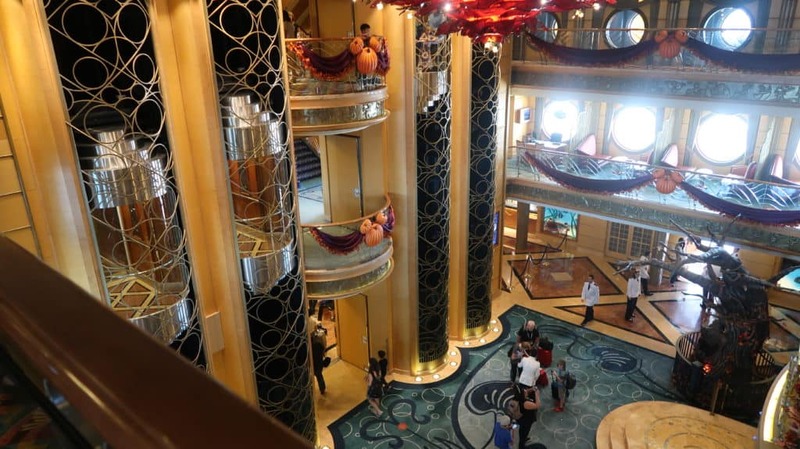 Disney cruise lines has some of the largest and the best staterooms in the industry. Your choices range from an inside stateroom right up to the magnificent Walt Disney Suite. 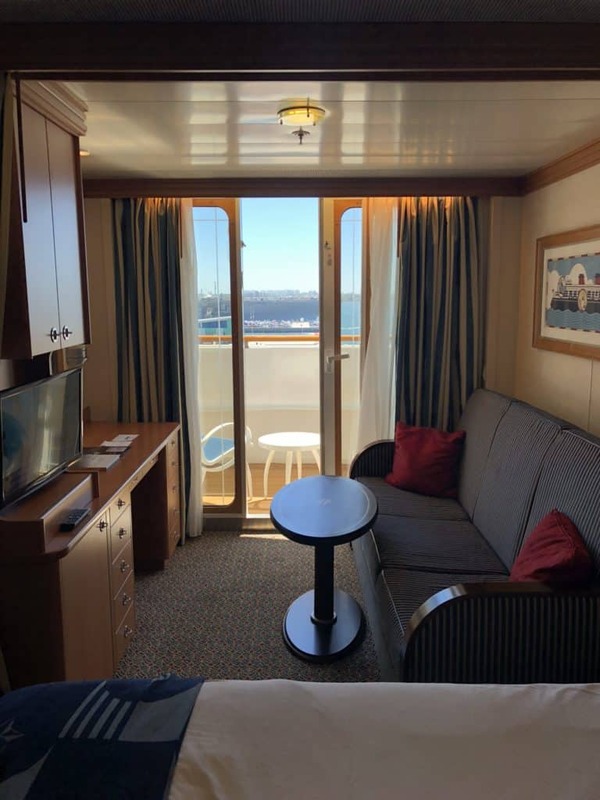 Your choice mostly depends upon your budget, but even within the same category, there are some staterooms which are a better choice than others. 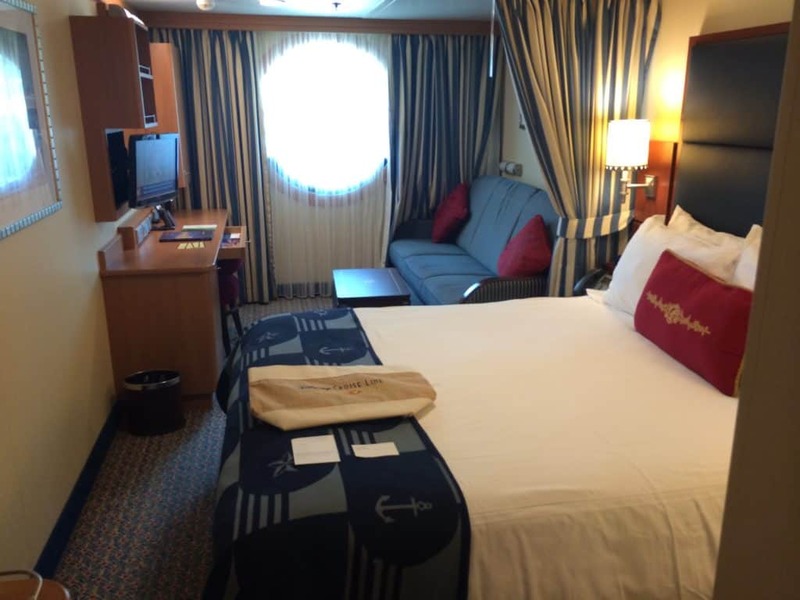 Read our Disney Cruise Staterooms to Avoid to help you decide. Another unique thing about Disney cruises is the “split bathroom” concept. This is ideal for families. What does it mean? 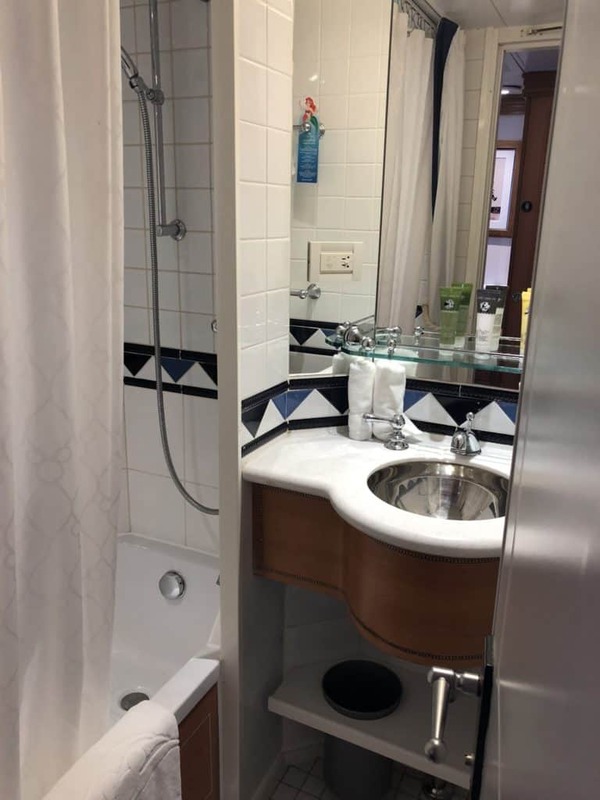 There are 2 bathroom spaces in most of the Disney cruise staterooms. One has the toilet and a sink. The other has the bath, shower and another sink. Each has plenty of storage space. The split bathroom idea cuts down waiting time in the morning when everyone is trying to get ready for breakfast! Walk along the corridors of your Disney cruise ship and you will see some spectacular door decorations. Your imagination is the only limit to just how creative you can get. Doors and walls in your Disney cruise stateroom are magnetic. Decorations are available to buy, or get creative and make your own! Just make sure that you do not cause any damage to the stateroom – use magnets, not tape. You don’t want a nasty shock on your final account if you are fined for damaging the wall! You can keep items together. No more searching for socks or swimming stuff. Keep them all organized and you can then just transfer them to a draw in your stateroom. All the Disney ships now have beds which provide enough space to store your suitcases underneath. 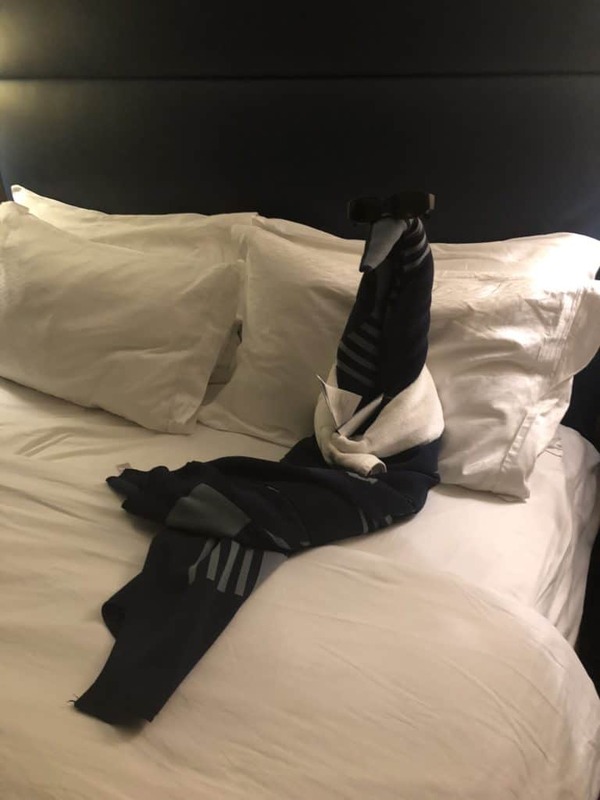 You can unpack and forget about them for the rest of the cruise. No one really wants to do laundry on vacation, but sometimes it just becomes a necessity. There are several self service laundries on all of the Disney ships. We always take our own laundry pods of detergent, but it is available on board. Of course all Disney cruise staterooms have a television. 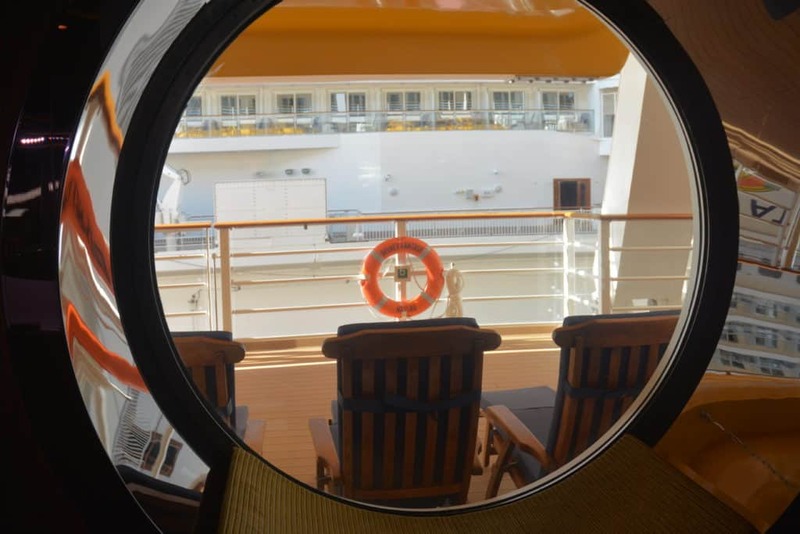 However, if you are sailing on the Disney Fantasy or the Dream you will have a much bigger choice of what to watch in your stateroom than if you sail on the Wonder or the Magic. The newer ships of the Fantasy and the Dream have on demand television. You have a huge choice of Disney movies and television to watch on demand. So if you really want to watch “Peter Pan”, “Toy Story” and “Mary Poppins” in your stateroom you can. 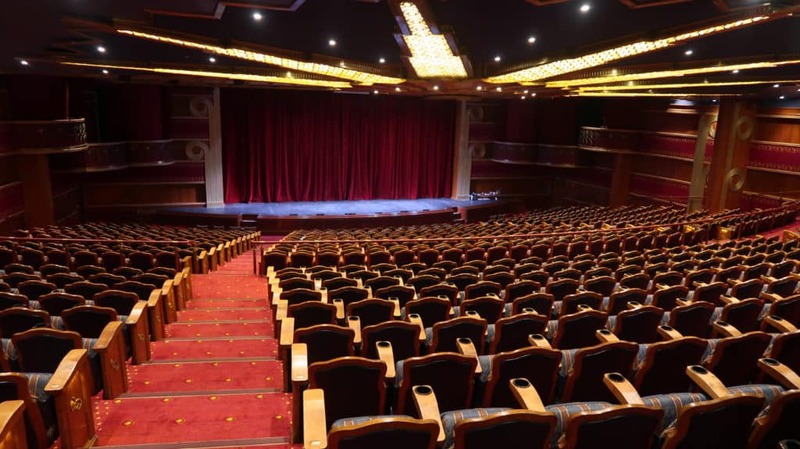 The stage shows from the Walt Disney Theatre are also shown on the television and repeated, so if you miss a show you can watch it in your stateroom. It is a good idea to hang on to that old hotel room key. The reason? To make the lights work in the stateroom you have to put a credit card sized card in the slow by the door. You are supposed to use your Key To The World for this. However, we prefer not to as you are more likely to forget to take it with you and get locked out of your room. 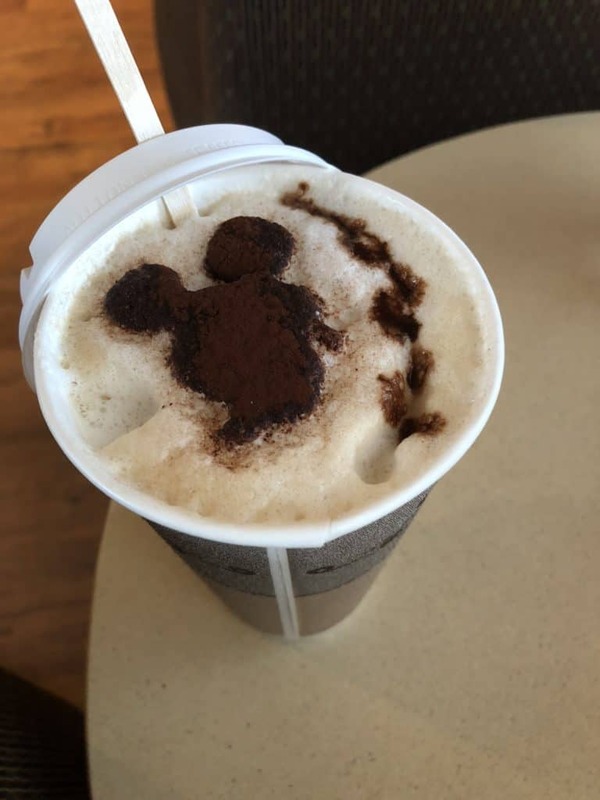 Disney cruise lines are known for their innovative ideas. One of the very best is the concept of Rotational Dining. What is this? One each Disney cruise ship there are 3 main dining restaurants. All have their own very unique theme. Each night you will visit a different restaurant. When you rotate between restaurants your servers will come with you! This has the wonderful advantage that your servers get to know you. The Disney cruise servers are amazing. Your servers will get to know your likes and dislikes. They will even cut up your child’s food for them! Nothing is too much trouble for them. 43. Can’t Decide What To Choose on the Menu? 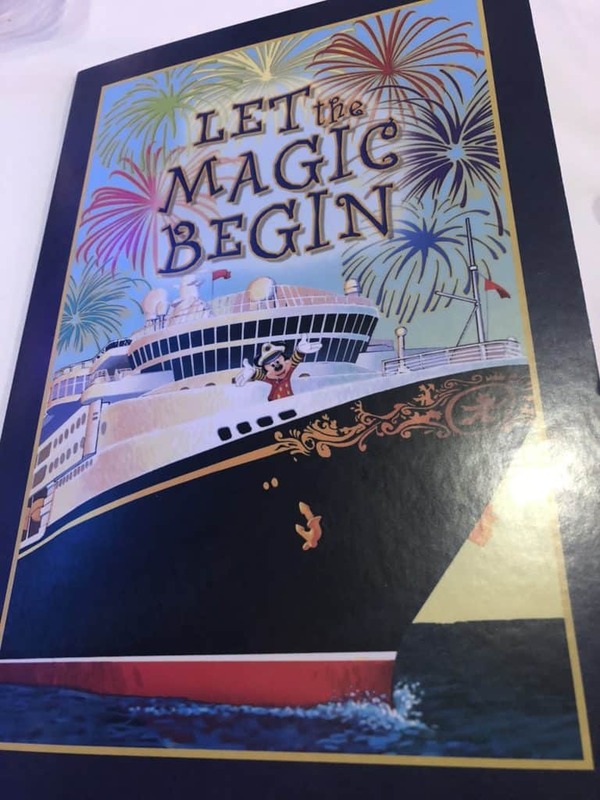 Overwhelmed by the great choices on the Disney cruise restaurant menus? No problem. You can order a couple of options and no one will mind. If you want the salmon and the steak go ahead. 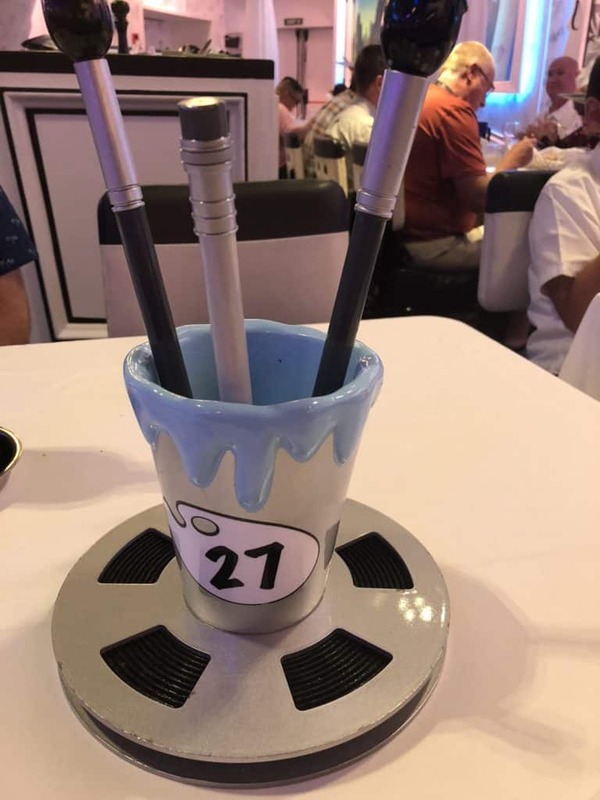 Two desserts? Go for it. Just be aware that your waistline may not forgive you for it! 44. Want Something Not on the Menu? Your Disney servers want you to have the best experience possible and will do everything they can to accommodate you. If you enjoyed a particular dish one evening make sure that they know. If you give them at least 24 hours notice they may be able to get it for you again. Just be considerate. They will make it happen if they can. So if you want that same entree or dessert every night just let them know. Each ship has three rotational dining restaurants. They are all a little different from each other, apart from Animator’s Palate which is on all of the Disney ships. Your first night in Animator’s Palate has a very special show for you. Be sure not to miss it. Well not all of the drinks are free, but you could sail on the whole Disney cruise without spending anything extra on beverages. You just have to know which are free. There is free soda from the dispensers on the pool deck which is available 24/7. Soda, regular coffee, tea, iced tea and milk is available for free in the dining rooms. Your waiters will learn your preferences and bring it for to your table to have it waiting for you for dinner. Of course, there are many tempting drinks which are not free. All alcoholic beverages and cocktails are charged for. You may be tempted by the drink of the day. There is always an alcoholic and a non alcoholic drink of the day available at a reduced price. 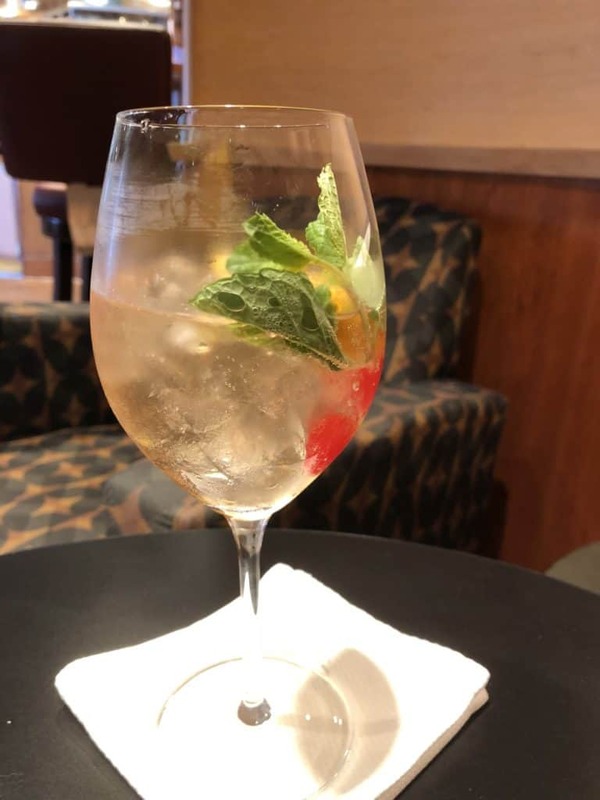 Disney Cruise Line – Are The Drinks Really Free? Yes you read it right. On the formal evening of the Captain’s Dinner there is a welcome reception with wait staff offering cocktails and wine. The Ship’s Officers including the Captain will be there to greet you. If you attend a Disney Vacation Club sales presentation they sometimes give free cocktails. However, the perks of attending this meeting seem to be getting less and less. You used to get a very nice gift when you attended but recently we have not see this. The presentation is fun and there is no sales pressure. You may be tempted though, so do your calculations carefully before you sign up! There is usually a free draw to enter to win an onboard credit. Also you will probably be offered an onboard credit to attend a one on one sales consultation. Always tell your servers if you have a celebration such as a birthday or anniversary. They will arrange something special for you. Self service ice cream is available for free on the pool decks of every Disney ship. Why not make your own float with the free soda and ice cream? 50. Didn’t Finish That Bottle of Wine? If you want to enjoy wine at dinner, but don’t think you can finish the bottle, Disney has a solution. 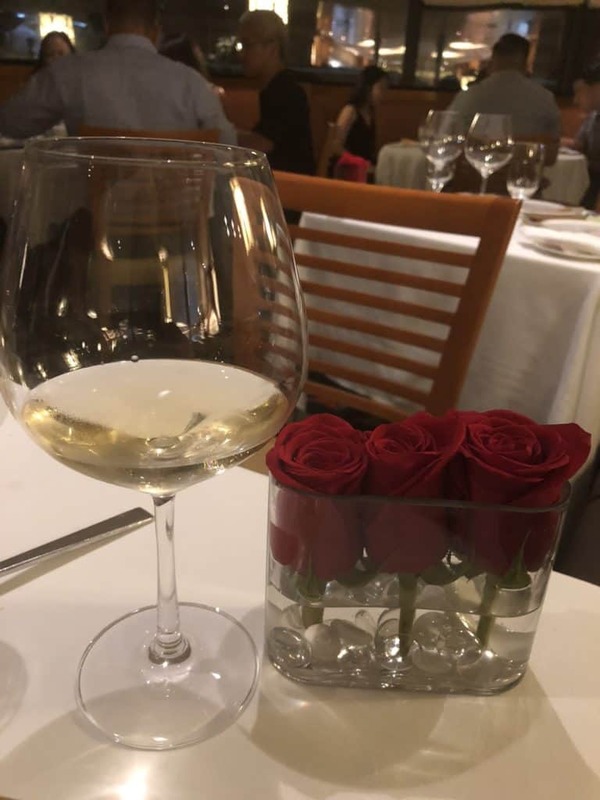 Your server will save your wine for you and the next day it will be waiting at your table for you. Is The Disney Cruise Wine Package Worth The Cost? Every Disney ship has an amazing breakfast and lunch buffet served up on the pool deck. However, what some people don’t realize is that there is a sit down breakfast and lunch served in one of the restaurants every day. 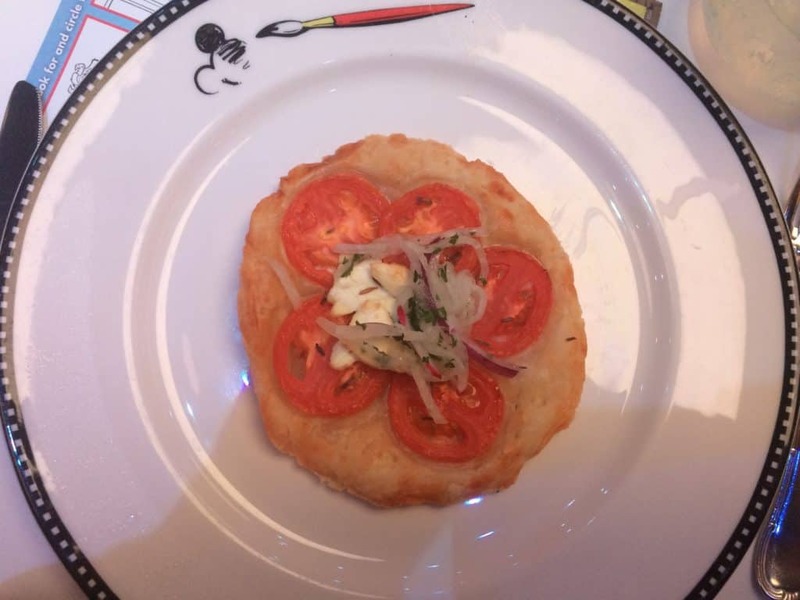 Disney cruise lines is incredible at catering to any special dietary need you may have. We have sailed with family members who need vegetarian,vegan and gluten free diets. Just tell your waiters or mention your dietary needs at the buffet or specialty restaurants. You can also register this in your Cruise Personalizer before you board. Disney cruise lines will do everything they can to help you. The chefs are more than willing to create special meals for you. If you are sailing on a Disney cruise which is 7 nights or longer, you will have the opportunity to have a character breakfast. This is included with the cost of your cruise. As anyone who has been to Disney World or Disneyland will know, this is a huge benefit! Character breakfasts usually cost $40 and up per person on land. On your Disney cruise it is included in the cost of your fare. You do have to plan ahead for the Disney cruise character breakfast. You need a ticket and places are limited. 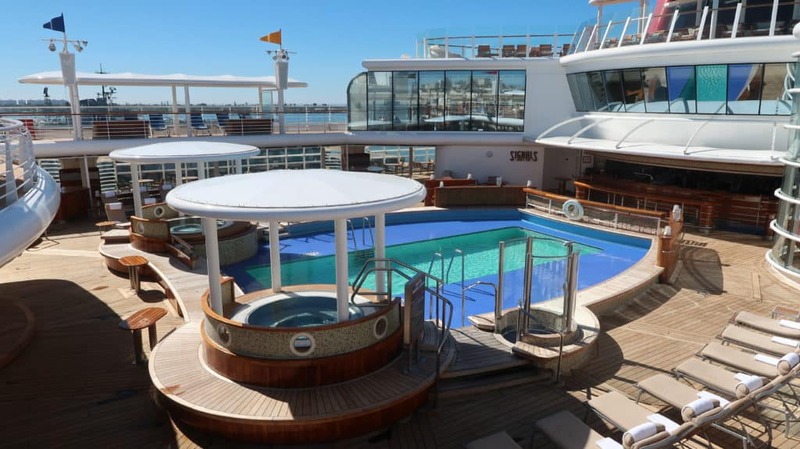 You need to log in to your Cruise Personalizer as soon as you can, to book tickets. There may be some available from Guest Services. Go as soon as you board the ship. They are limited and you do not want to be disappointed. Room service on a Disney cruise is free. Just remember to tip the crew member who delivers your food. Make sure that you have some $1 bills handy. However, if you forget, no problem. You can add a tip to the receipt that you will have to sign. It will be a zero balance as the food is free, but there is room to add a tip for your server. There are some items which are not on the menu, but which are available from room service. 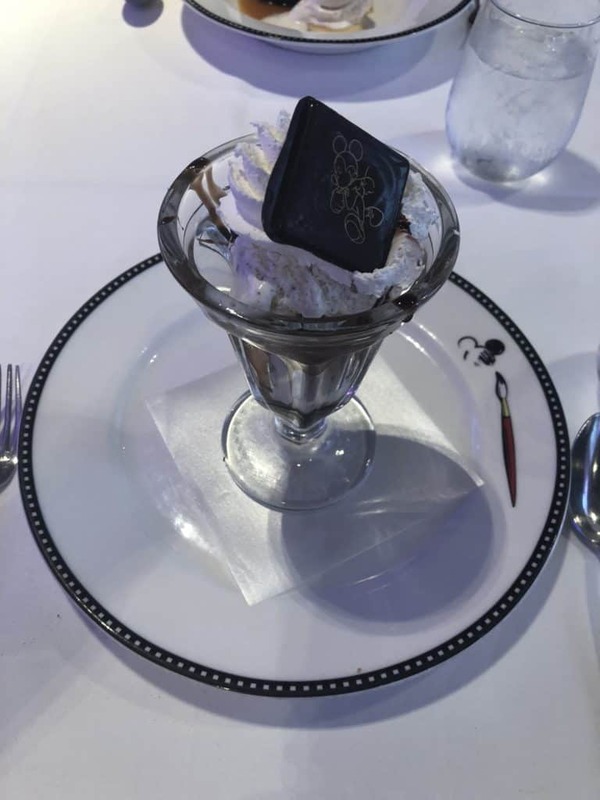 One of the most popular items which is not shown on the menu is the Mickey Mouse Ice Cream Bar. Cake of the Day is on the menu, but the secret items are Dessert of the Day and Pie of the Day. Obviously these change every day, so we have a tradition of making sure we order these on sea days. Breakfast in bed can seem like an extravagant indulgence. However, on a Disney cruise you can indulge as many times as you like. It is all part of the service. 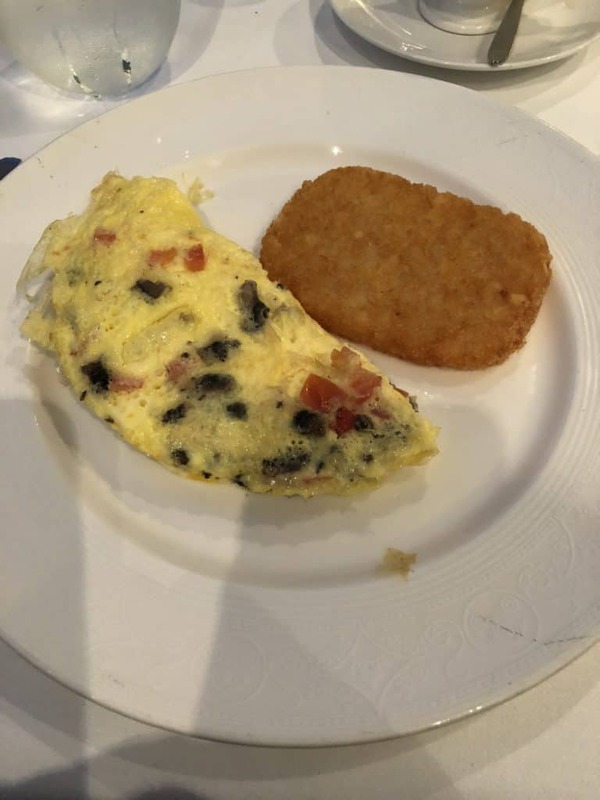 Just fill out your breakfast selections on the card in your stateroom and put it on your door prior to 3 am the night before. Then wake up to your breakfast choices delivered to your room. The best way to enjoy breakfast is on your verandah. One of the best times we ever had on a Disney cruise was sitting on our verandah eating breakfast whilst going through the Panama Canal locks. Yes,we know that you will probably have consumed more food than you want to admit by the evening. However, there really is nothing quite like ordering milk and cookies before bedtime. No we are not suggesting that you get your caffeine fix just before bed time. However, if you order a carafe of coffee just before you go to bed at night it will still be warm enough in the morning for you to enjoy. This means you won’t have to be disturbed by room service early in the morning, but you will be able to stumble out of bed and have your first cup of coffee when you wake up. 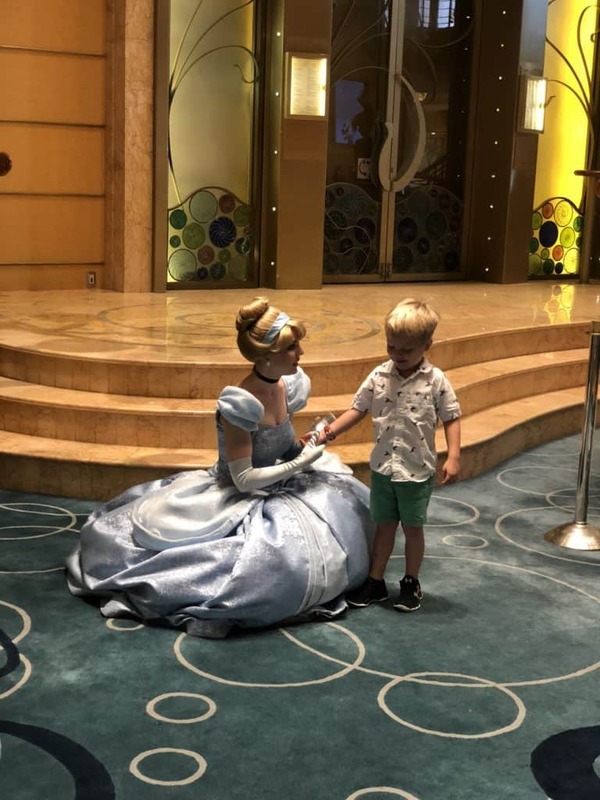 A Disney cruise is for all ages. You just know that the kids are going to have a blast with all of the features on board for them. Disney cruise lines is one of only a few cruise lines which offers a babysitting service for the under 3s. Starting a aged 6 months and going all the way up to the age of 3 the It’s a Small World Nursery will care for the youngest cruisers on the ship. There is an additional charge and you do have to book in advance. You can do this online in the Cruise Personalizer. The charge is $9 per hour for your first child and $8 per hour for the second and any additional children. in your family. Your kids probably won’t want to leave the kids clubs. The Oceaneer’s Club and Lab is for children aged 3 to 12. Who wouldn’t want to meet Spiderman or pilot the Millennium Falcon? There are lots of organized activities or they can just play with their new friends. The 11 to 14 year old set can often be the most difficult to please. Fortunately on a Disney cruise they have The Edge. If you have an 11 year old they have the choice of either being in The Edge or the Oceaneer’s Club. 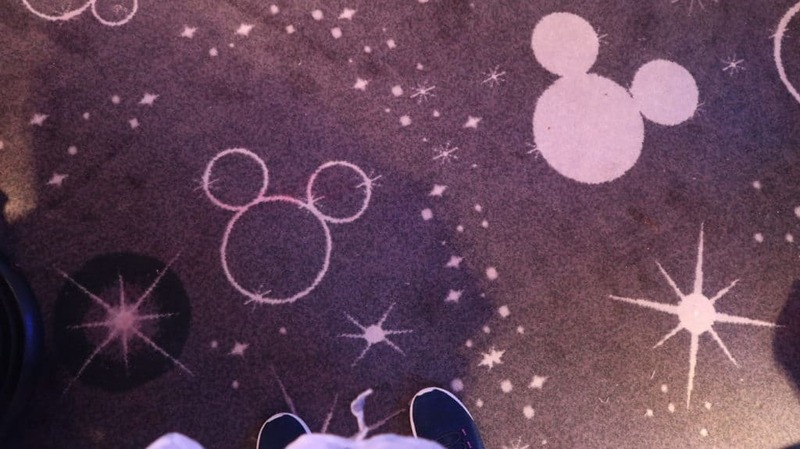 Wondering what your teens are going to do on the Disney cruise ships? The answer is spend a whole lot of time in Vibe. Particularly if you are sailing on the Disney Dream or the Disney Fantasy. The newer shops have a fabulous outdoor area for the teens which includes hot tubs and a sun deck. Most spas are for the over 18s only. However Disney has recognized that sometimes the teens want to be pampered in the spa. Check out the Chill Spa which is exclusively for the 13 to 18 year old set. 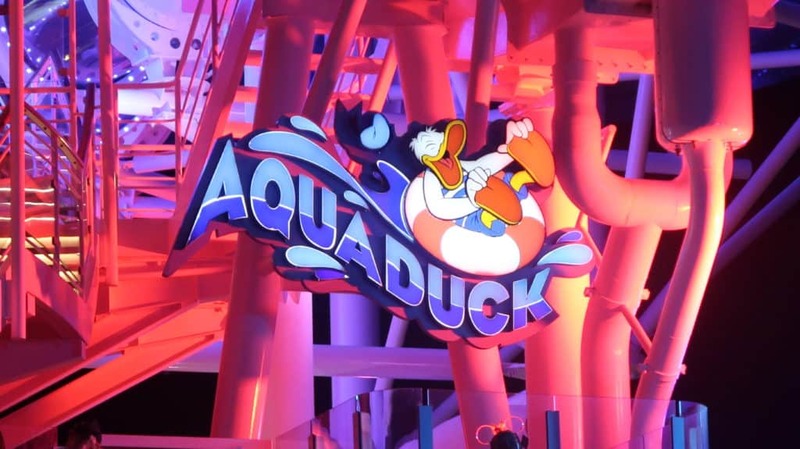 One of the best features of the Disney Fantasy and the Dream is the AquaDuck. A water coaster at sea!This is a lot of fun for all the family, but of course the wait times can be long. To get your best chance of riding with almost no lines go on embarkation day or wait until night time. Most people are either watching the show or eating dinner in the evening so the lines are short. 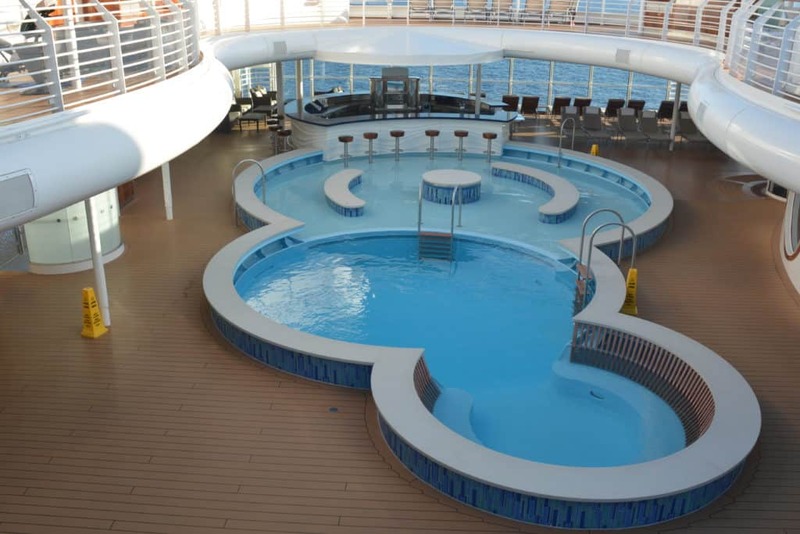 All of the Disney ships have two pools on the family pool deck. The first is a toddler pool and the second is the family pool. Don’t expect to get any real swimming done in these pools! The family pool is small and on sea days tends to be crowded. 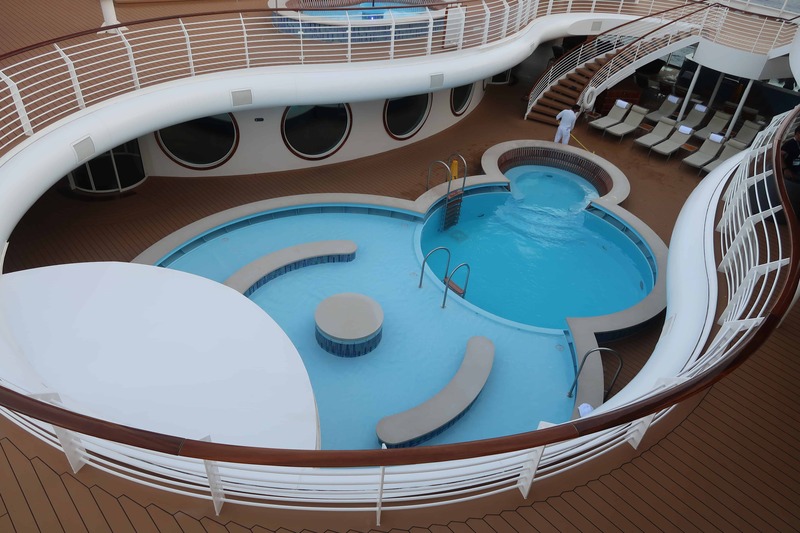 There are plenty of pool loungers around the pools and up on deck. 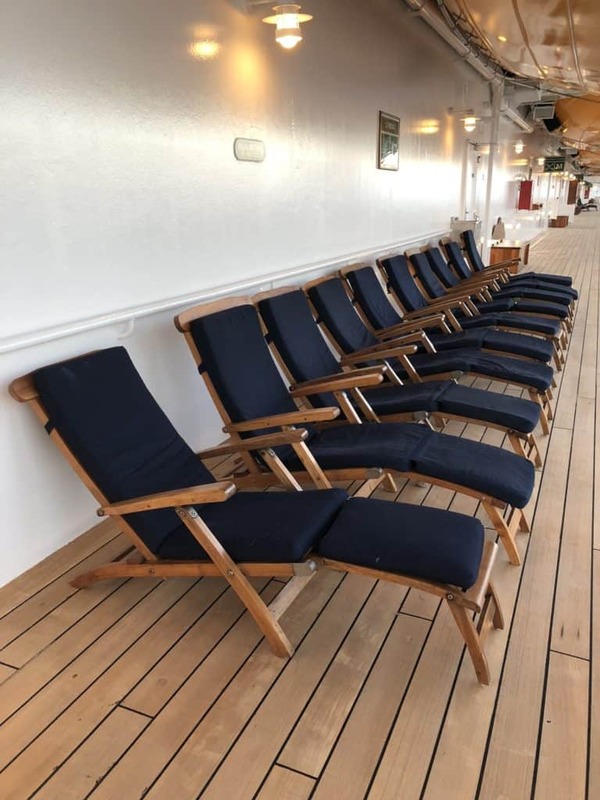 Be considerate of others and do not reserve a lounger by putting a towel or your belongings on it. Just not cool. 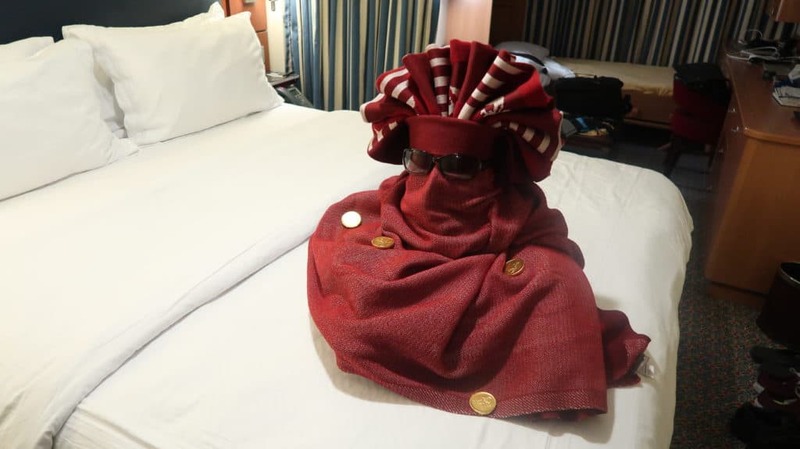 There is no need to bring your own pool towels on board or take towels from your stateroom. There are plenty of pool towels up on deck. 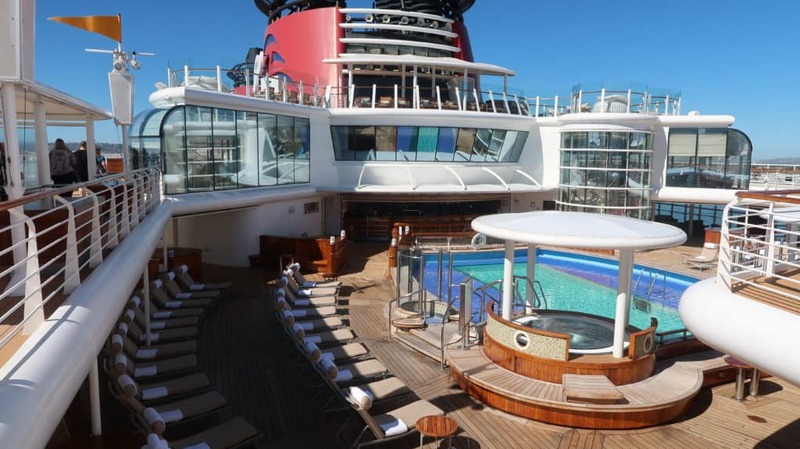 One of the best features of the Disney cruise pool deck is Funnel Vision. Disney movies are played all day and evening. It’s fun to splash around in the pool and watch a Disney movie. At night relax on a pool lounger and snag one of the blankets and watch a Disney movie. Many people think that a Disney cruise is centered around the kids, but really this is just not true. Sure there is plenty going on for the younger members of the group, but there are so many things for the adults to enjoy too. 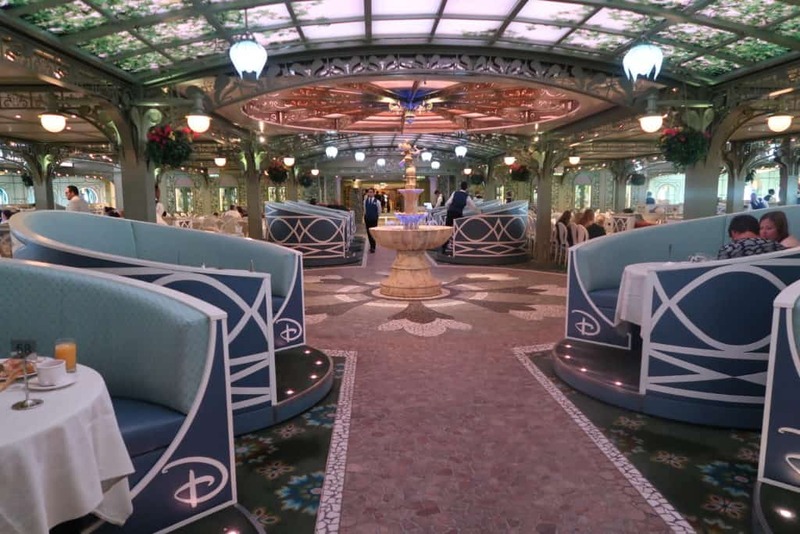 Disney has some of the best dining at sea. All of the ships have dining which caters to the over 18s only. 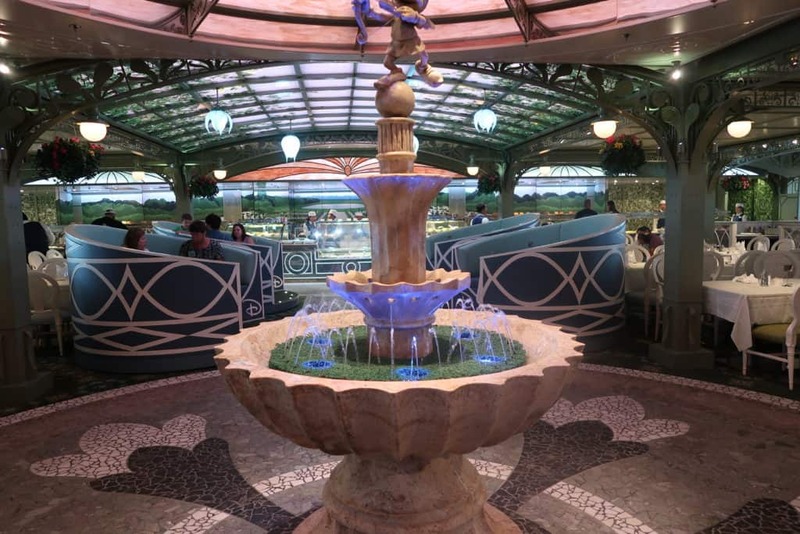 Every Disney ship has Palo, which is an Italian themed restaurant. Disney’s Palo offers dinner every night of the cruise and brunch on select days. I think that the very best value is brunch. With a charge of just $40 you can eat your way through a huge selection of buffet and hot entree items. Remy is available on Disney Fantasy and Disney Dream. Widely recognized as one of the best culinary experiences at sea, Remy is named after the lead character in the Pixar movie Ratatouille. Dinner is available very night. The Champagne Brunch and the Dessert Experience are offered on select days. Yes it is pricey at $95 per person for dinner,$200 if you want the wine pairing. However, it will be one of the best meals you have ever had. 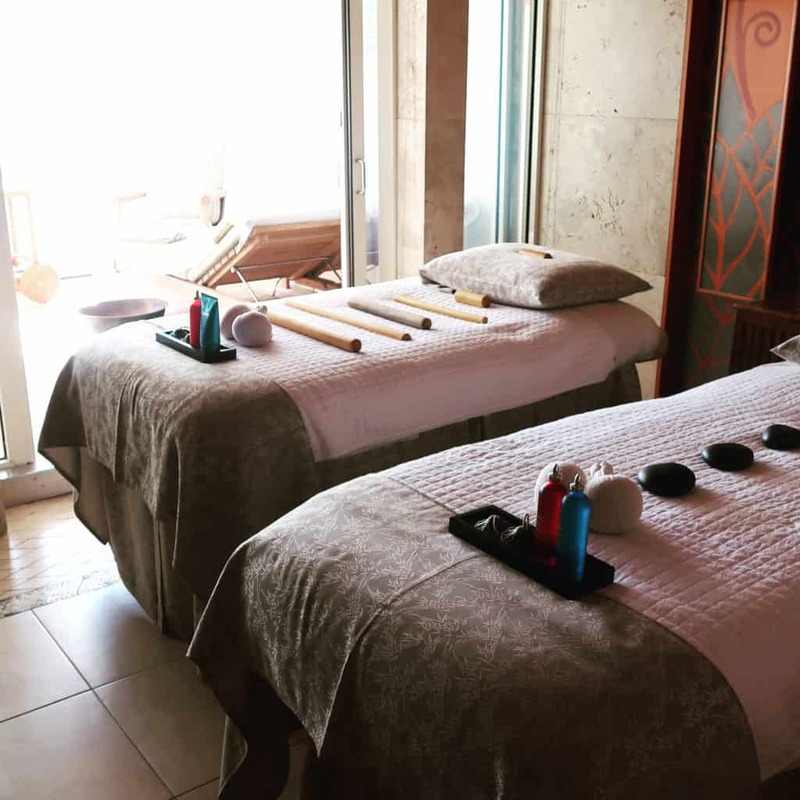 If you want to experience the ultimate in relaxation you can book a Disney spa treatment. There are lots of options offered including treatments for couples. You can book ahead of your sailing to get the best reservation times. Appointments do book up, so if you have something specific in mind, book online before you sail. Every Disney Ship has a Rainforest Room in the spa. This is truly the place to be if you want to indulge in some luxurious down time and relaxation. The Disney Dream and the Fantasy have the very best Rainforest rooms on the Disney ships. The each have two steam rooms, a dry sauna and scented showers with multiple different programs. A fabulous feature is the heated hot stone loungers with views of the ocean. 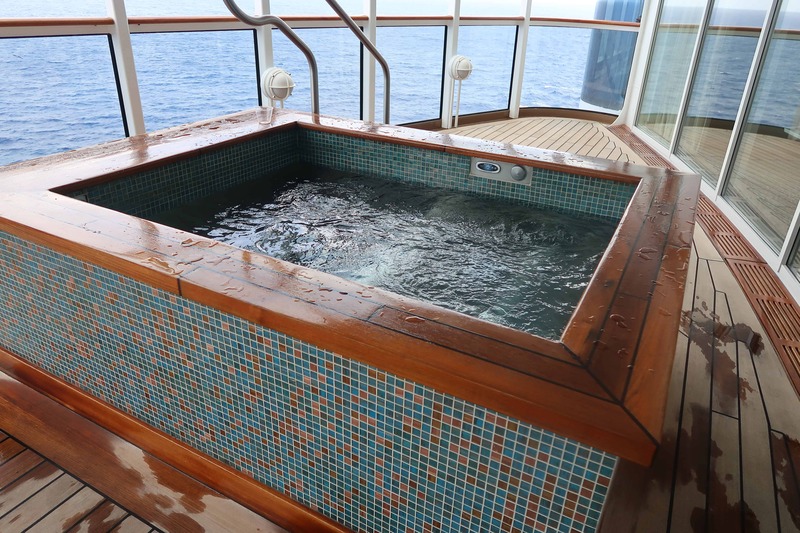 You can even relax in one of the two hot tubs which overlook the ocean. The Disney Wonder and the Magic also have the Rainforest Room, but it is not quite so luxurious. They have saunas, steam rooms, heated loungers and showers. It’s a nice space but not as great as on the larger ships. You can purchase a Day Pass for the Rainforest Room or a length of cruise pass. Time in the Rainforest Room is also included in any spa treatment. There is plenty of space reserved for the over 18s only on the Disney ships. This includes adult pools and hot tubs. On the Disney Dream and Fantasy there is a huge sun deck reserved just for adults. 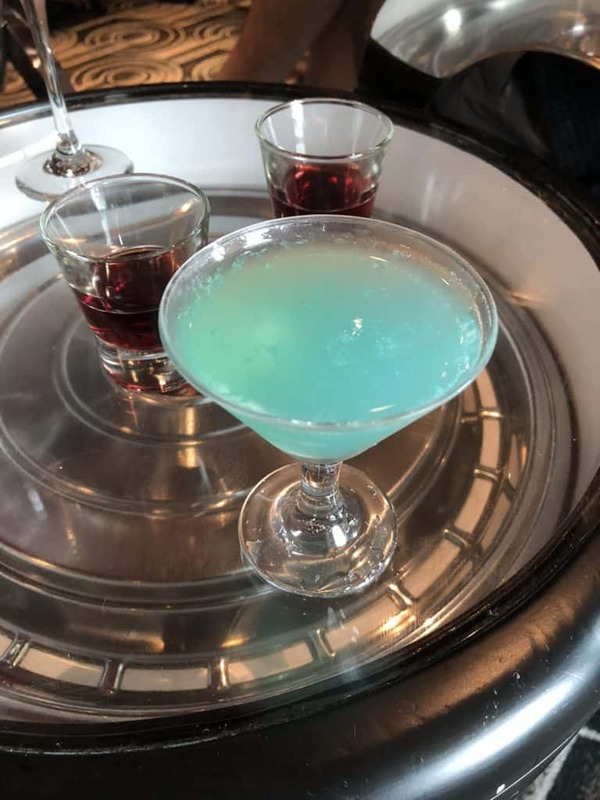 There are plenty of options of places to enjoy a drink or two on all of the Disney ships. 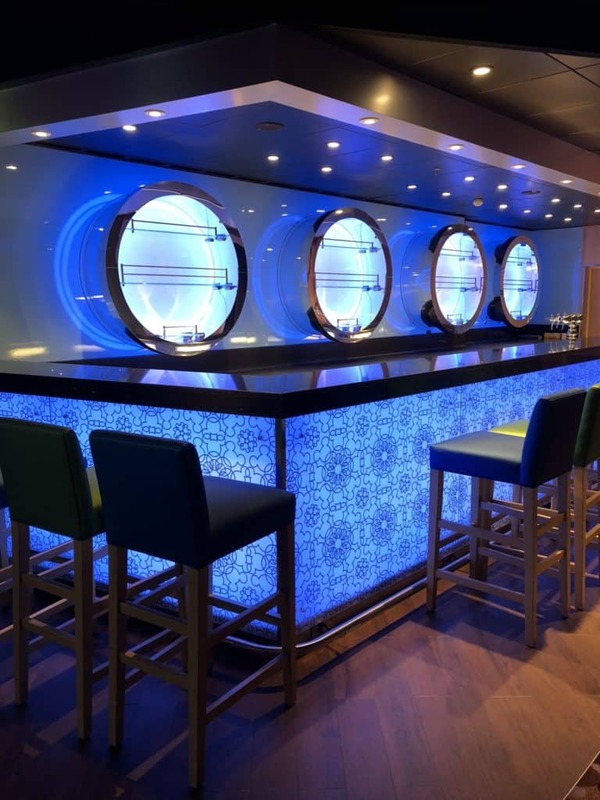 One of our favorites is the Ooh La La bar on the Disney Fantasy. Guests can choose from an extensive champagne menu. The French boudoir decor is completely over the top, but it’s a lot of fun. Disney cruise lines has a very generous policy about how much of your own beer and wine you can bring on board. Many cruise lines do not let you bring anything at all. However, on a Disney cruise you can bring up to 2 bottles of wine or 6 bottle of beer per adult. You can drink the wine in you stateroom and there is no charge. However, if you want to enjoy the wine you brought in the restaurant there will be a $25 corkage charge. 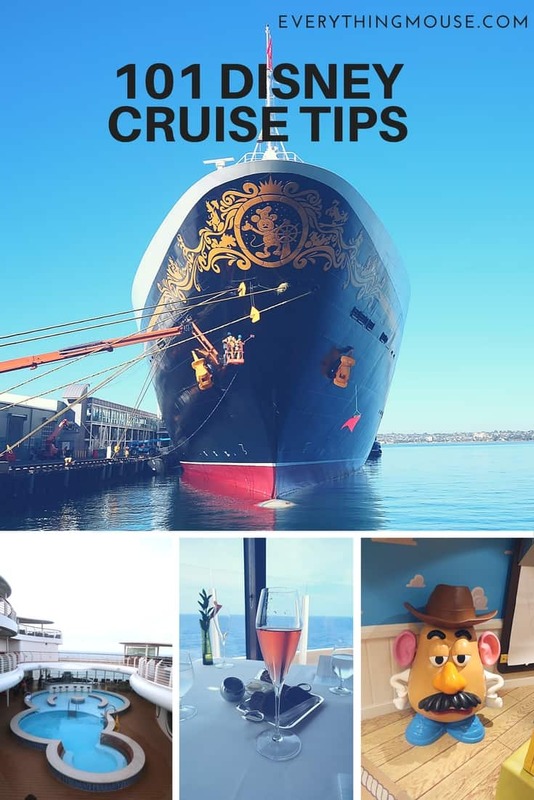 If you enjoy drinking wine on a Disney cruise the Wine Package may be the thing for you. The Wine Package allows you to pre purchase either a Classic or a Premium Package. You choose the number of days from 3 to 7 nights. 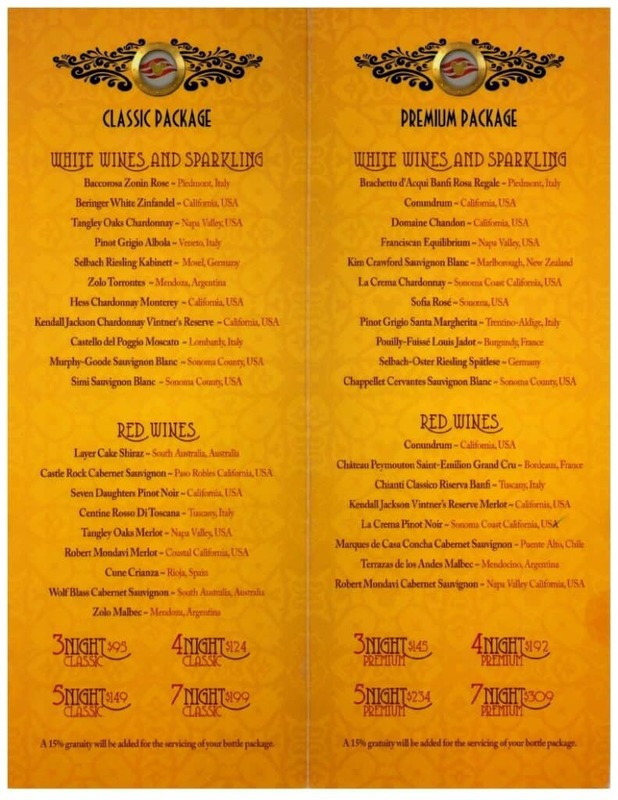 Each night you can pick a bottle from the Classic or Premium Wine list. Prices start at $95 for a 3 night package. The more nights you have, the cheaper the per bottle price works out to be. If you don’t finish the bottle that evening it will be stored for you and you can drink it later. You can get free drip coffee on the pool deck or in the restaurants. However, it isn’t the best coffee you have ever tasted. If you enjoy a decent cup of specialty coffee you can pay extra for your drink of choice. Ask for a coffee card. Each time you buy a drink you will get a stamp. When you have 5 stamps your 6th drink will be free. It used to be that you could save these and use on your next cruise. However, now the card states that they are not to be used on a future cruise. Time will tell whether or not the servers still allow it, but don’t bet on this trick still working. Use your free coffee entitlement before your current cruise ends. 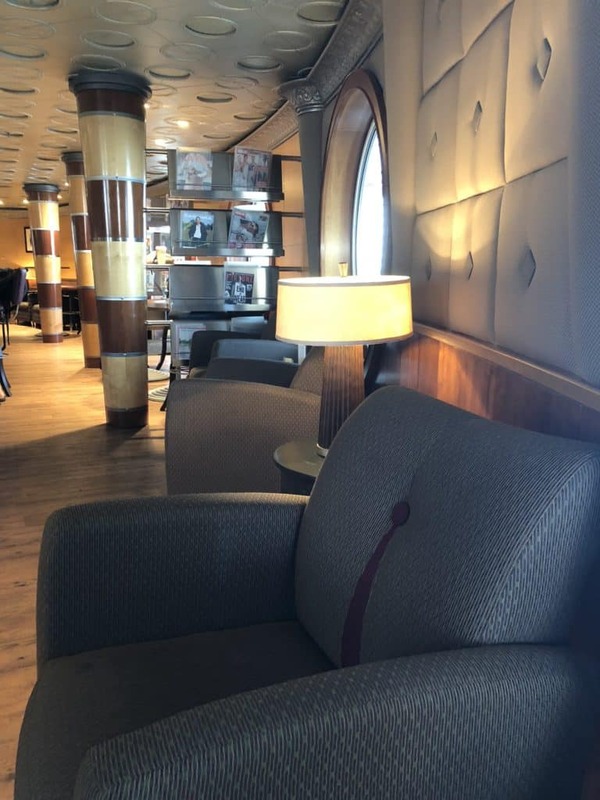 One of our favorite areas on the Disney cruise is the Cove Cafe. It is a great place to sit and read a book and enjoy a coffee or something a little stronger. There is a small selection of books and magazines,but bring your own as the selection really is small. Cove Cafe is a very tempting place to pick up some snacks. Check out the croissants in the morning. We challenge you to resist the selection of cakes and desserts in the display cabinet. It is all included so you can indulge! The Navigator is where you will find out what’s happening on board the ship every day. 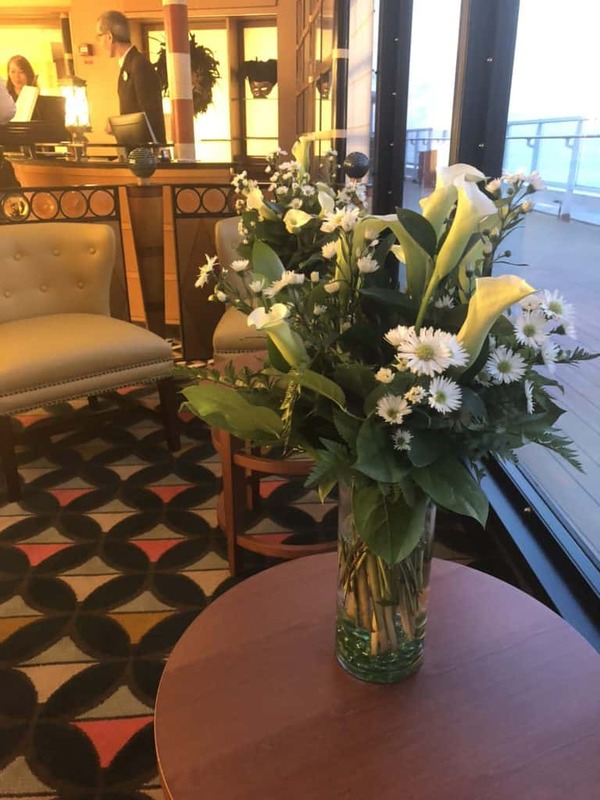 There is a paper version which will be delivered to your stateroom every day. If you lose it you can pick one up at Guest Services. Or you can use the Disney Navigator App on your phone. Remember to download it before you get onboard. This really can’t be overstated. You will be amazed at just how good the shows are on the Disney cruise. They are Broadway quality and you should definitely make time to see as many shows as you can. There are two performances every evening. You can see the early one if you have late seating and the late one if you are dining at 5.45 pm. All shows are performed in the Walt Disney Theatre. There really isn’t a bad seat in the house, but there are some which are better than others. We like to be about five or six rows back in the middle. However, if you do not arrive early the front level of seats are likely to be gone. We prefer anything in the middle over the ones at the sides, even if it is quite far back. Saving seats for others is really bad form. Don’t do it. Please. 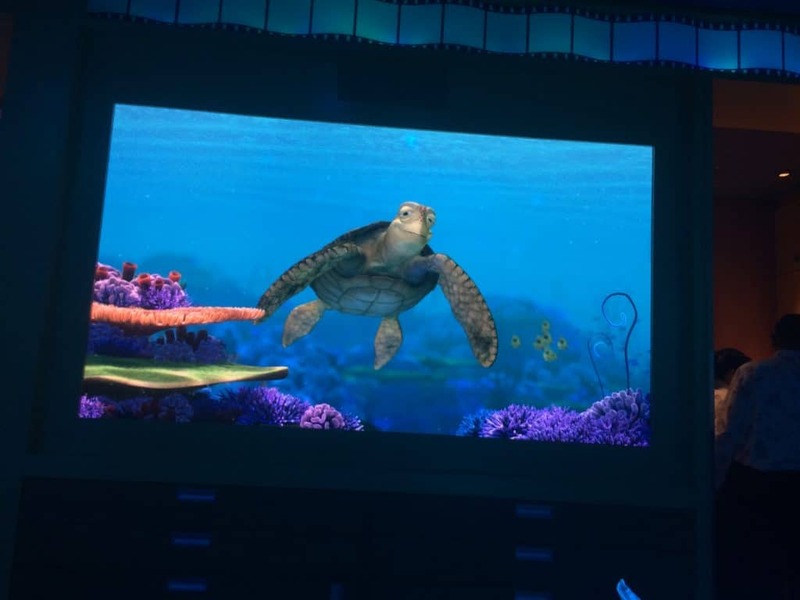 Each ship has a different selection of shows, although there is some overlap with certain shows being staged on more than one of the Disney cruise ships. The Disney Wonder has “Frozen”, the Fantasy has “Aladdin” and the Disney Dream has “Tangled”. Starting in November 2017 the Dream will stage “Beauty and the Beast”. On the nights where the big stage productions are not scheduled there will usually be another entertainer such as a magician or a juggler. Many of these entertainers have been performing with Disney cruise lines for many years and they are generally very good. Not everything is family friendly! Often there is a late night version of one of the entertainers acts such as a comedian or a magician. Treat yourself and let the kids go to the kids clubs while you enjoy a night out. 84. Go to the Movies! Bueana Vista Theatre is the place to be to catch a movie. 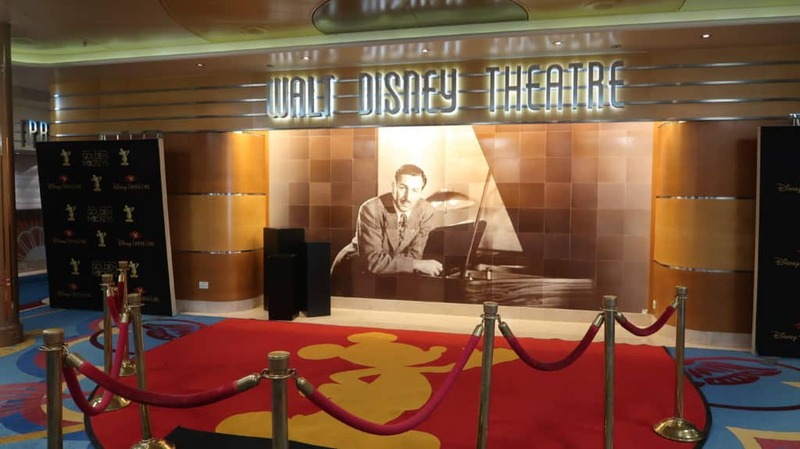 The Disney cruise movie theatres show new releases and classic movies. Outside the Walt Disney Theatre and the Bueana Vista Theatre you will be tempted by the smell of popcorn and the lure of specialty drinks. Move away! These items are not included. If you want to take a drink into the show with you stop on the pool deck to get your drinks for free. You can even bring some snacks in with you if you want – that is if you aren’t already full from the buffet! Every day there are lots of events scheduled. Want to learn how to draw Mickey Mouse, make that dessert you just enjoyed in the restaurants or enjoy a wine tasting event? Most things on board are included, but you will have to pay extra for wine tasting events. This adults only tour of the ship is well worth joining. It is free and will take you on a tour whilst showing you some of the design secrets of the Disney ships. There is so much attention to detail on the Disney ships and it is nice to hear some of the behind the scenes stories. One of the highlights of a Disney Caribbean or Bahamian cruise is a port stop at Castaway Cay. Disney cruise line has it’s own fabulous private island in the Bahamas. Here are some Disney cruise tips to make the most of your visit to Castaway Cay. Castaway Cay has it’s own post office. If you want to send a card with a very special stamp just stop at the post office. It is on your left just after you get off the ship. You can easily walk to the beaches, but there are plenty of trams to get you there if you want to save your energy. We usually walk to the beach if it isn’t too hot, but we always take the tram back. The most popular beach is the Family Beach on Castaway Cay. However, there is a beach reserved solely for the over 18s. Make your way to Serenity Bay if you want some peace and quiet. There is plenty of food on Castaway Cay. While it isn’t the finest food you will eat on your Disney cruise, the barbecue is perfectly fine. There is something about eating good barbecue food on the beach that makes it so much fun. However, make sure that you have eaten breakfast. The barbecues only open for lunch. 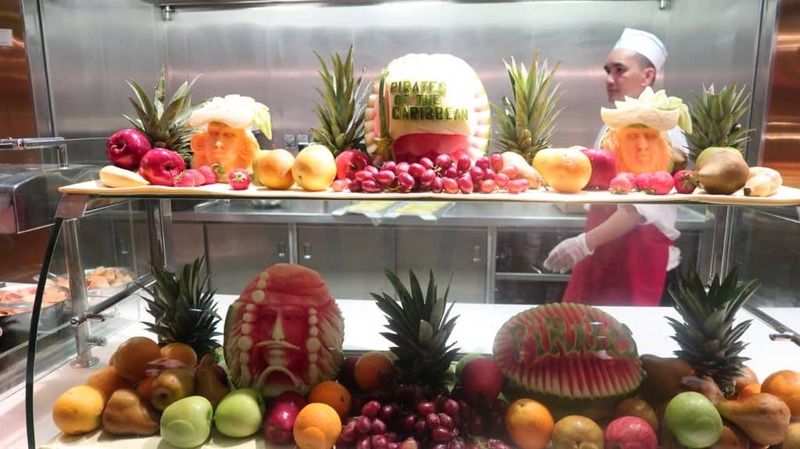 If you have special dietary requirements make sure that you let your waiters know on the ship. They will make sure that it is waiting for you at the barbecue. A very popular event on Castway Cay is the 5K run. There is free of charge and age 10 and up can take part. You have to sign up on the ship. It’s a great way to start the day – you won’t need to feel guilty about lounging around on the beach for the rest of the day! 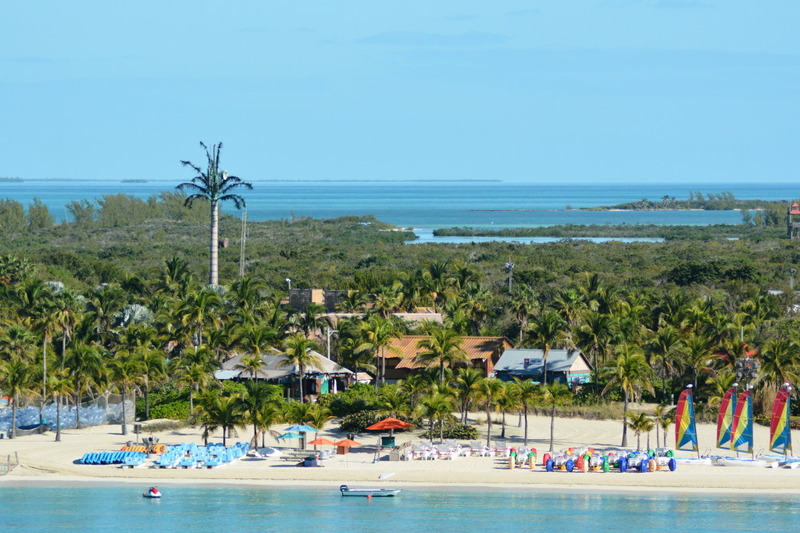 You can spend the day on one of the beaches, or you can try one of the Castaway Cay Port Adventures. These range from snorkeling to parasailing, kayaking to getting up close and personal with a sting ray. You can bok these ahead of time on your Cruise Personalizer, or when you get on the ship. One of the most difficult reservations to get on a Disney cruise is a Castaway Cay Cabana. Even though prices start at $399 this is one of the most sought after things on a Disney cruise. You can book them in your Cruise Personalizer, but as there are only 21 cabanas available, they sell out in minutes. You really need to either be a Concierge guest or a Platinum Castaway Cay member to be in with a chance. You can try your luck when you board the ship by putting your name on the wait list. You could get very lucky and someone may cancel. It happens, but just don’t bet on it! People tend to get back on the ship in the early afternoon. Whilst we always recommend getting back on board in good time, you can wait until shortly before all aboard time on Castaway Cay. This gives you maimum time on the island. It is important always to wear sunscreen. Sun burn is never a good thing and it can ruin your vacation. The combination of sun sea and the perfect island can sometimes make you forget to keep reapplying sun screen. Just be careful. 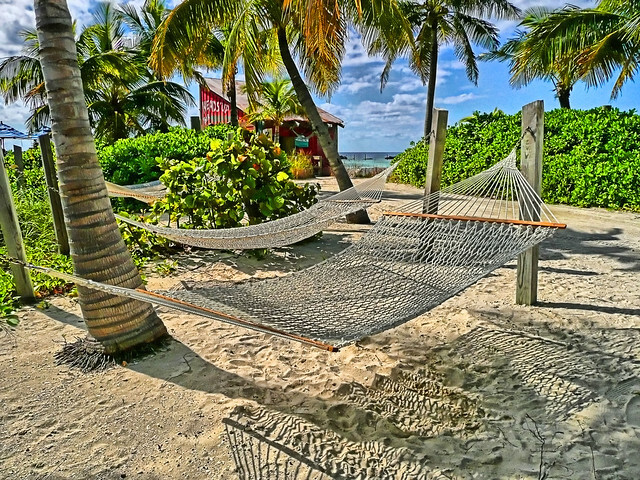 We have written a Complete Guide to Castaway Cay where you will find lots more tips and ideas. 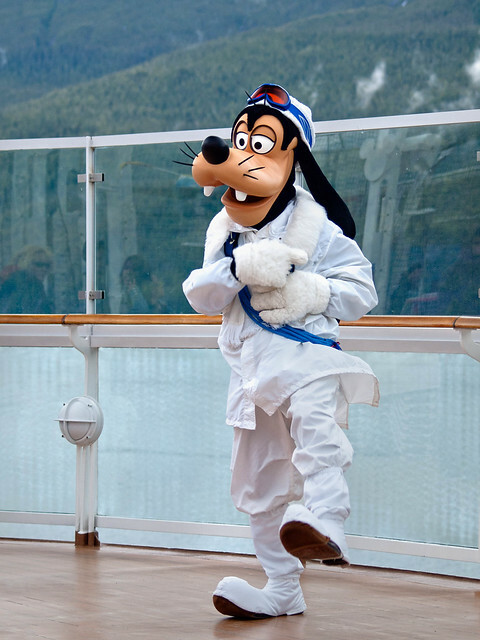 A Disney cruise is a great place to get to meet a huge variety of Disney characters. Here are some tips help you get the most out of the experience. There are lots of character appearances every day. The schedule will be posted in your Navigator every day. You can plan who you want to meet. All Disney characters have an attendant to keep them organized and safe. If you have any questions always ask the attendant. They can help with questions like when the next appearance will be and what costume the character will be wearing. They will also take pictures for you with your own camera. We think that it is much easier to meet characters on a Disney cruise than it is at the parks. However, you should still be prepared for a wait. The characters often spend more time with guests than they would in the parks. Usually if you arrive 15 minutes before the scheduled appearance you will be towards the front half of the line. Make sure that you bring something for the characters to sign. We have heard recently that Marvel characters will not sign anything which has been signed by a Disney or Pixar character, so you may need to bring separate books if you are swapping universes! Often the best character sightings are ones that you don’t expect. We remember seeing Chip and Dale up on deck during the Panama Canal cruise. Or sometimes you see characters in the hallways walking to the meet and greet. You can never guarantee which Princesses will be on board , but they will definitely be available for meet and greet. Usually you will see Tiana, Cinderella and Belle. However, don’t guarantee to your 4 year old they will see a specific Princess as they may not be onboard. There is always a Disney Princess ticketed event. You can sign up in your Cruise Personalizer or at Guest Services. Tickets are limited and go quickly. This is not an essential event as you will see them at other times. Anna and Elsa are rather more difficult to find. The only way to see them is to get tickets for the meet and greet. You will not see them out and about on the ship. 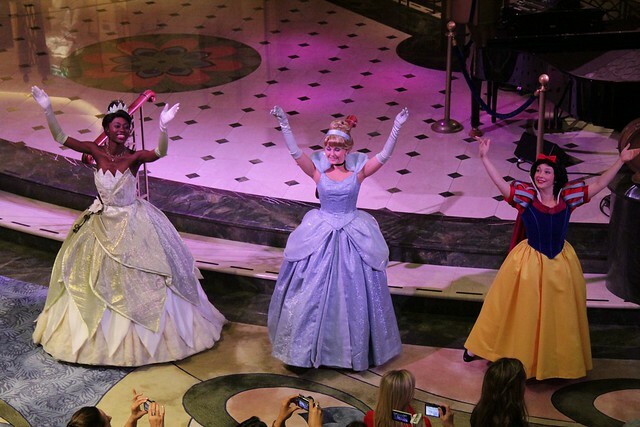 The best way to have time with the Princesses is by booking the Disney Cruise Royal Court Royal Tea. This amazing opportunity to meet the Disney Princesses includes plenty of time to meet your favorites whilst enjoying a traditional High Tea. You will have to book ahead and be prepared to blow the budget. This experience is designed for those aged 3 to 12 and costs $210 per child and $69 per adult. The children will walk away with some nice gifts and some great memories – but obviously the cost takes some thinking about. 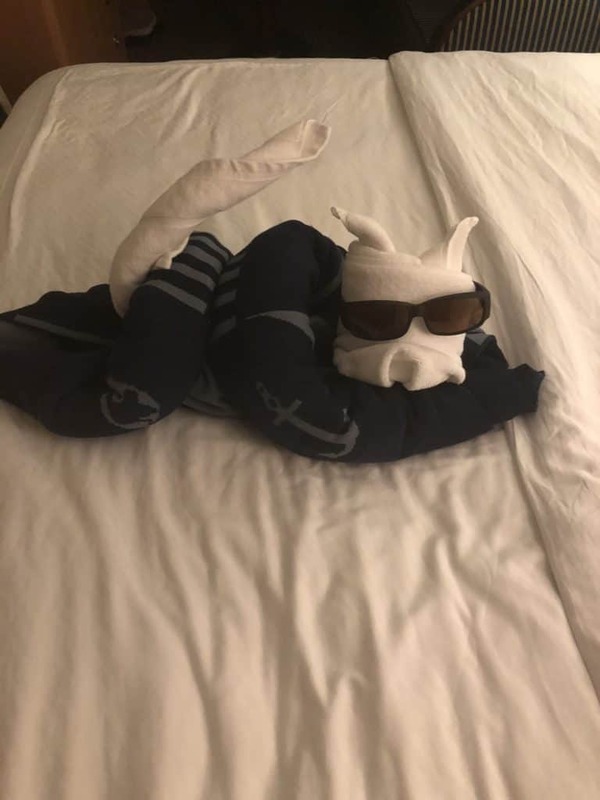 You might read online that if you take a shirt or picture frame and some markers to Guest Services it will magically be returned to your stateroom having been signed by the character. 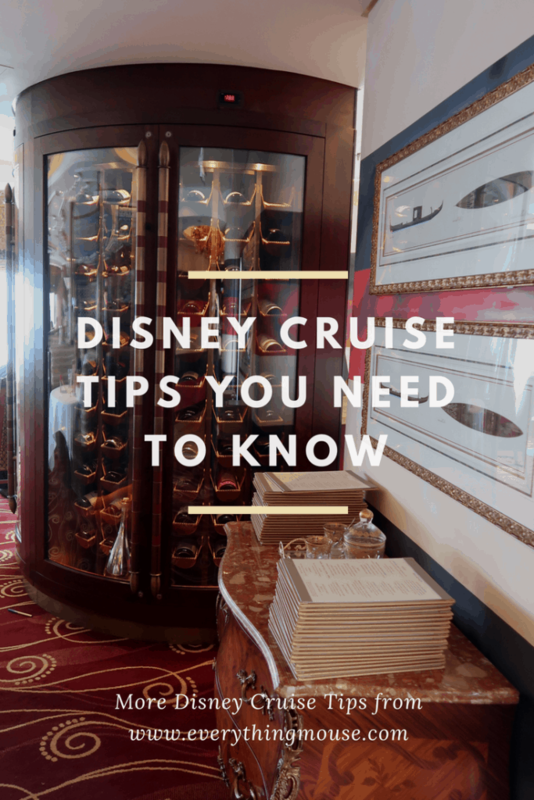 Unfortunately it seems as though too many people got to know about this Disney cruise tip, so they had to stop doing it. Some of the characters make it out onto Castaway Cay (although you will never see a Princess on the island). One of the coolest characters is Captain Jack Sparrow who will often make an appearance out on Serenity Bay. Do you have any Disney cruise tips that you want to share? 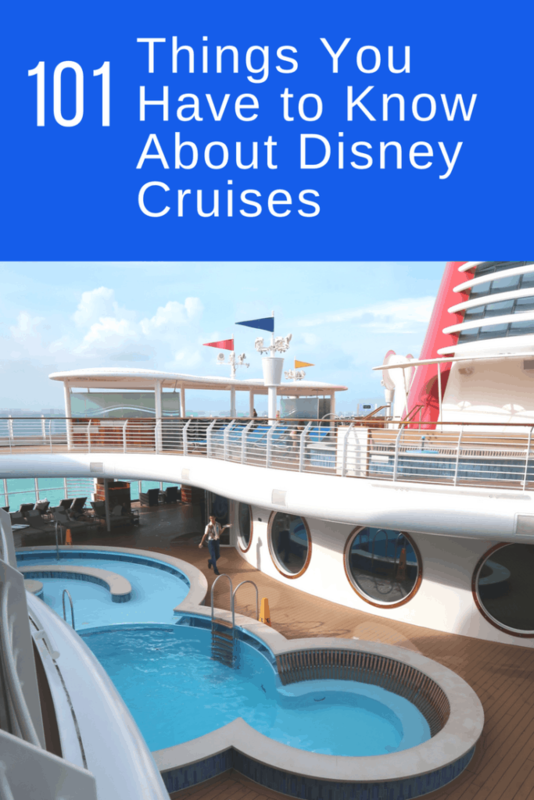 We are cruising again soon and will be adding to this list of Disney cruise tips!